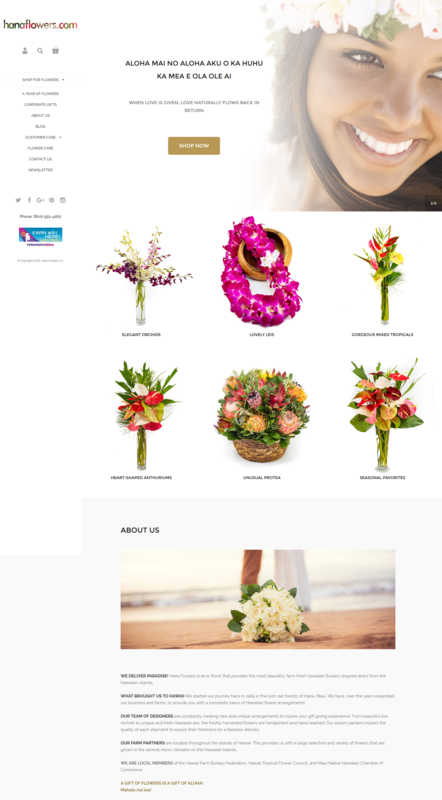 A great website combines usability, beauty and organization to provide an optimal user experience, while supporting the goals of its owner. 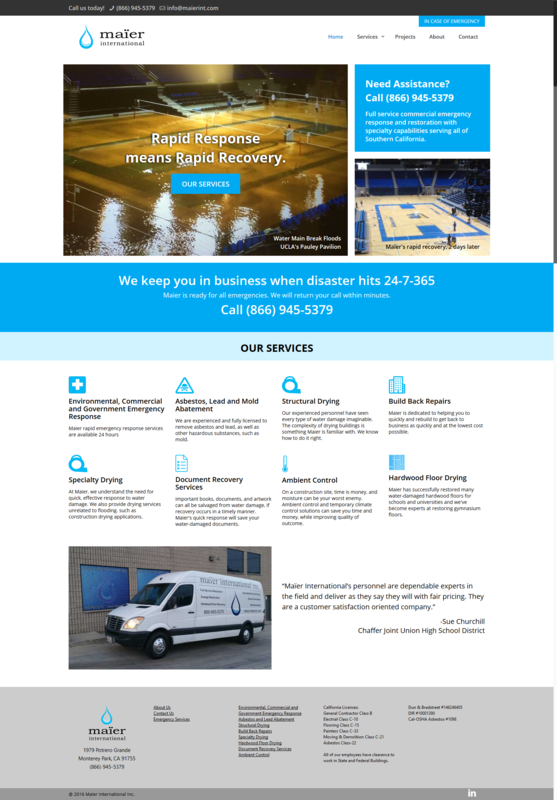 Integrating site analytics, cross-browser support, search engine optimization and thoughtful information design, our sites bring our clients excellent return on investment on a site that they can update themselves. 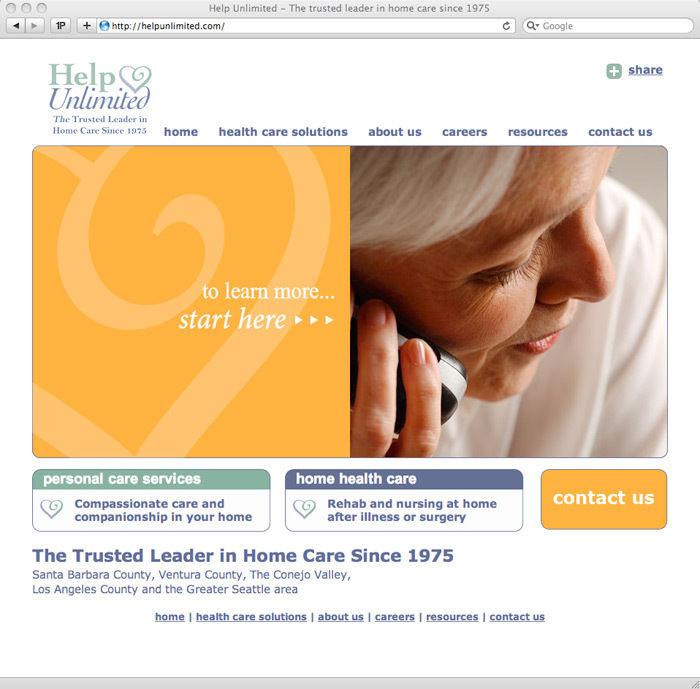 We provide ongoing support, too, so you’ll always have the help you need, whenever you need it. 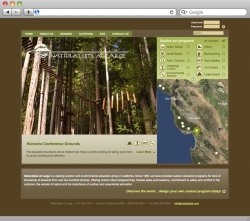 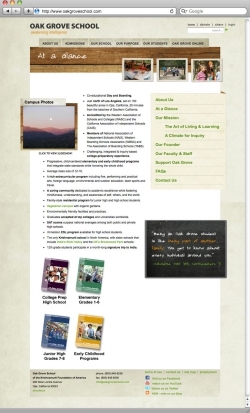 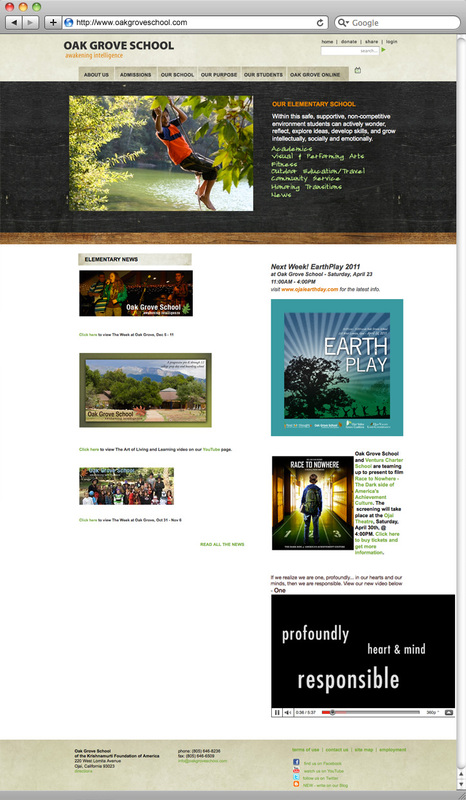 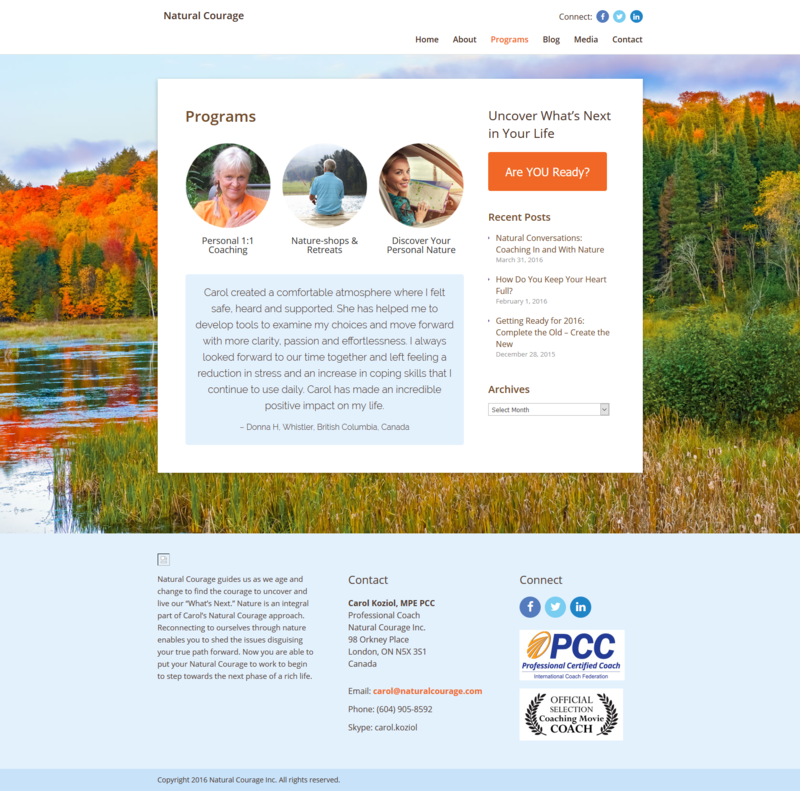 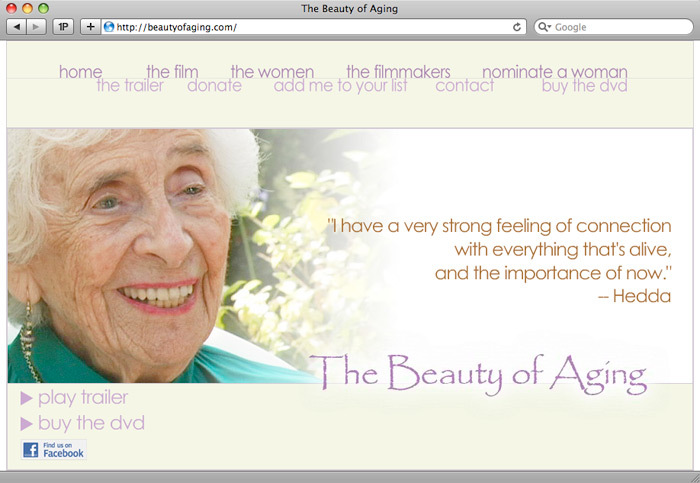 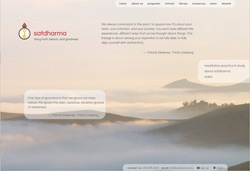 WackyPuppy designed a website for Natural Courage to establish a web presence. 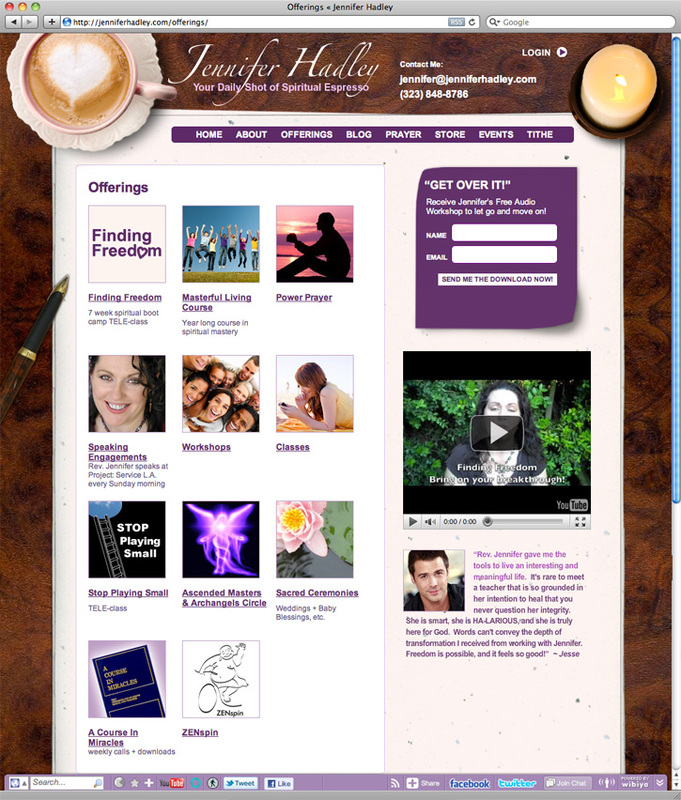 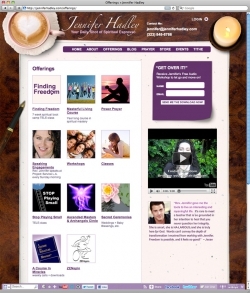 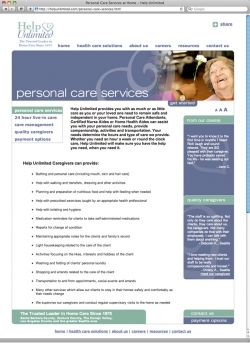 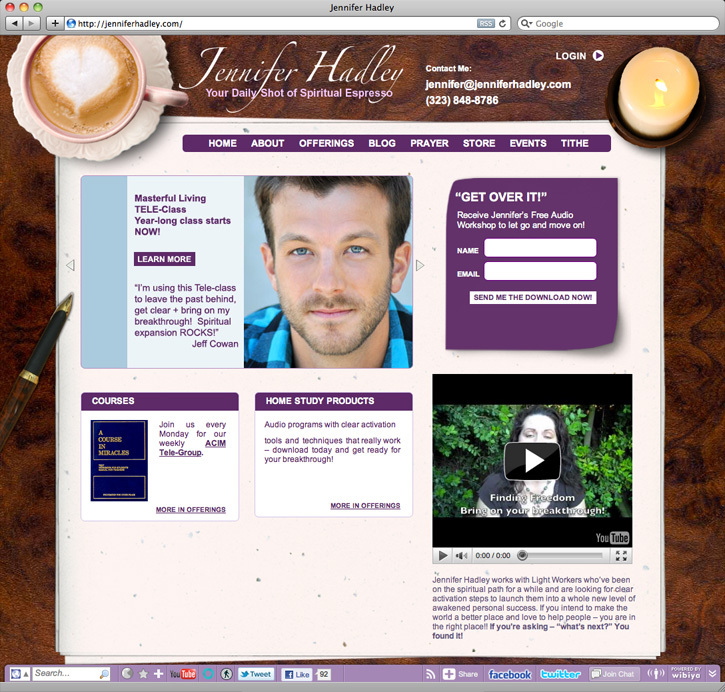 WackyPuppy designed a website for World Wide Healing Hands to establish a web presence. 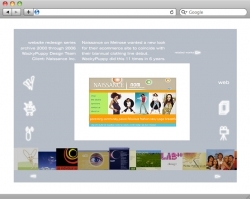 WackyPuppy designed a website for Wide Awake Business to establish a web presence. 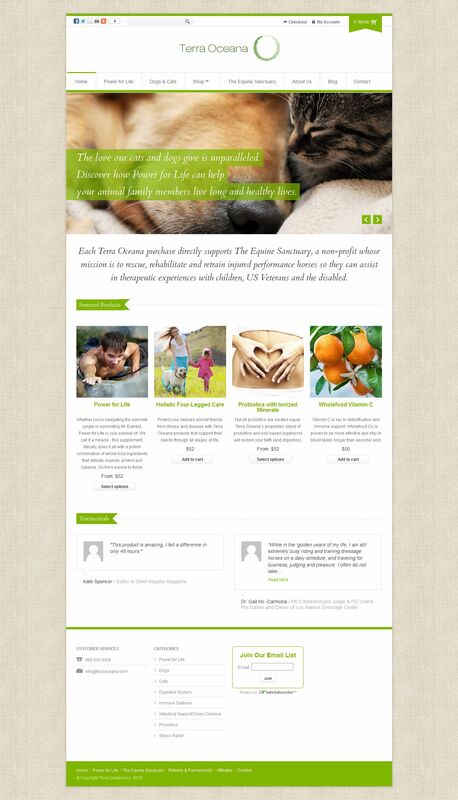 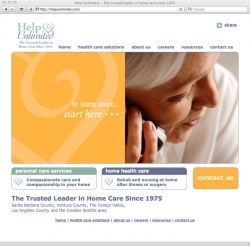 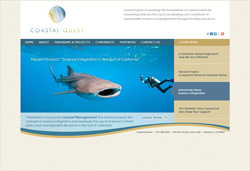 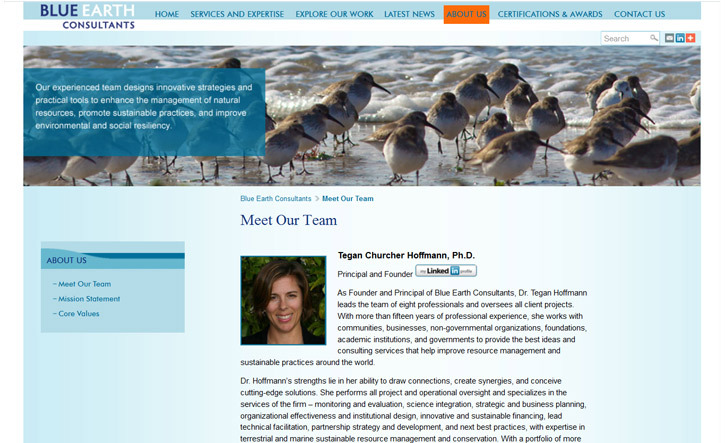 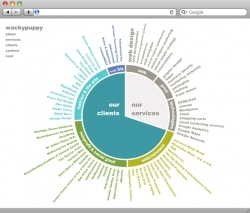 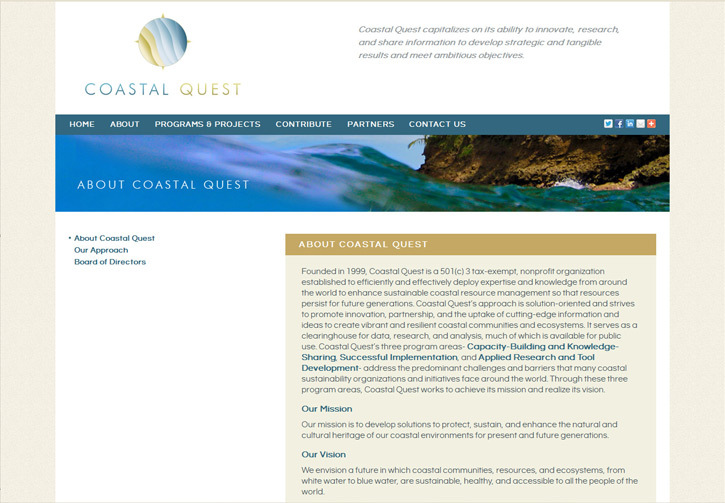 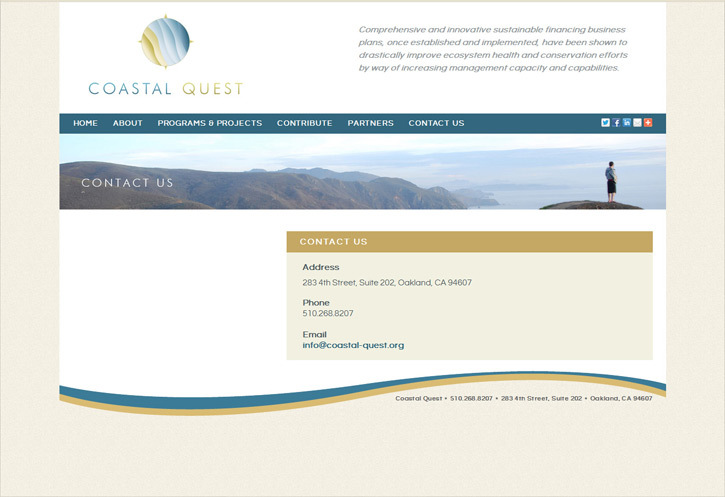 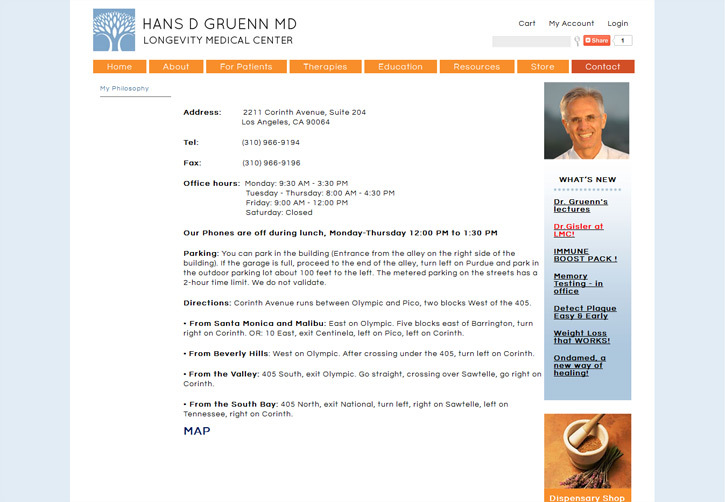 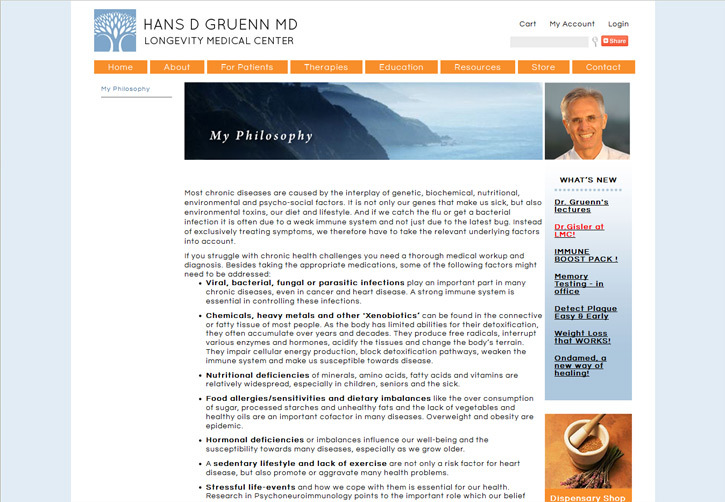 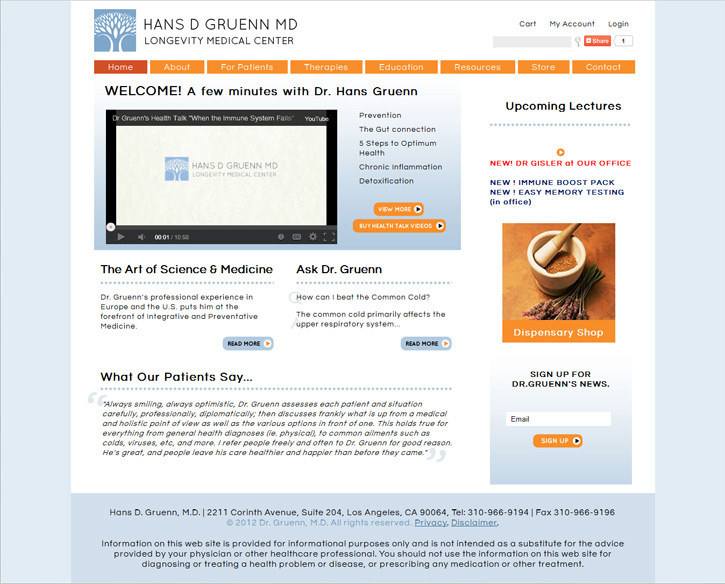 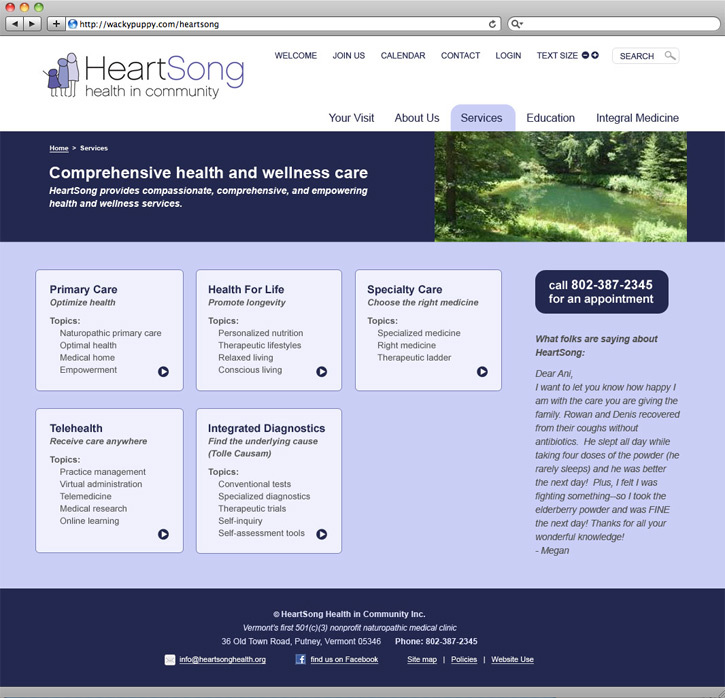 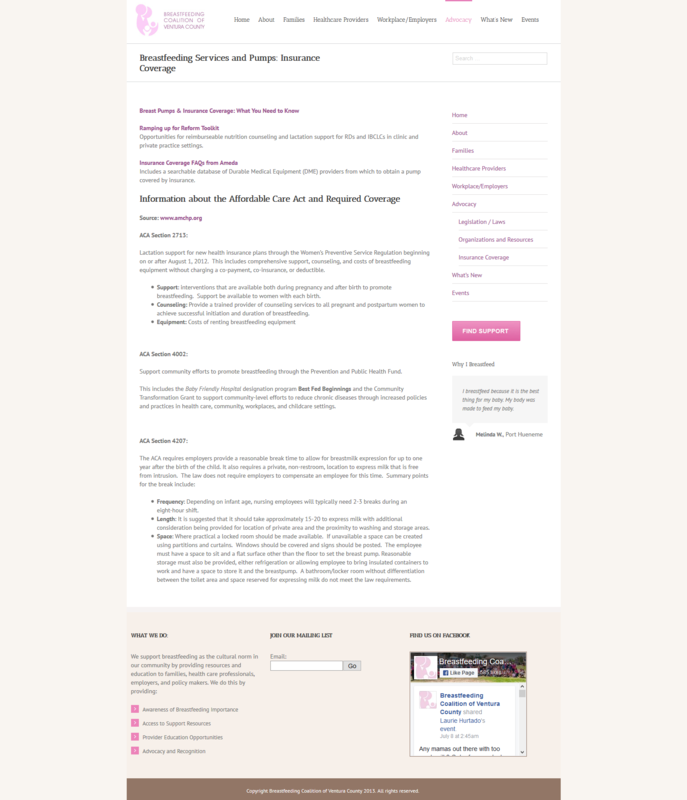 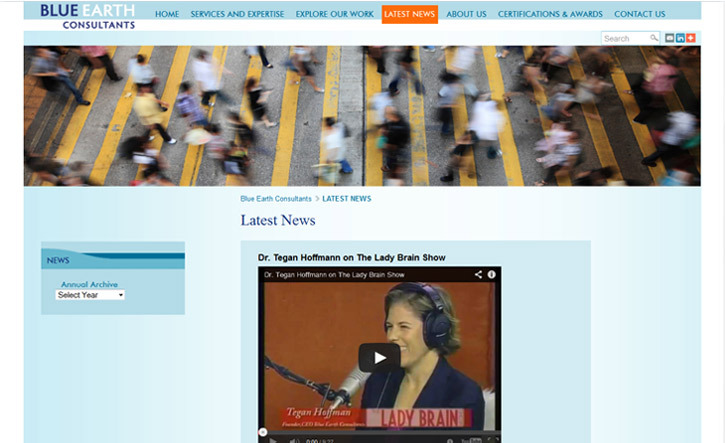 WackyPuppy designed a website for HealthyOcean to establish a web presence. 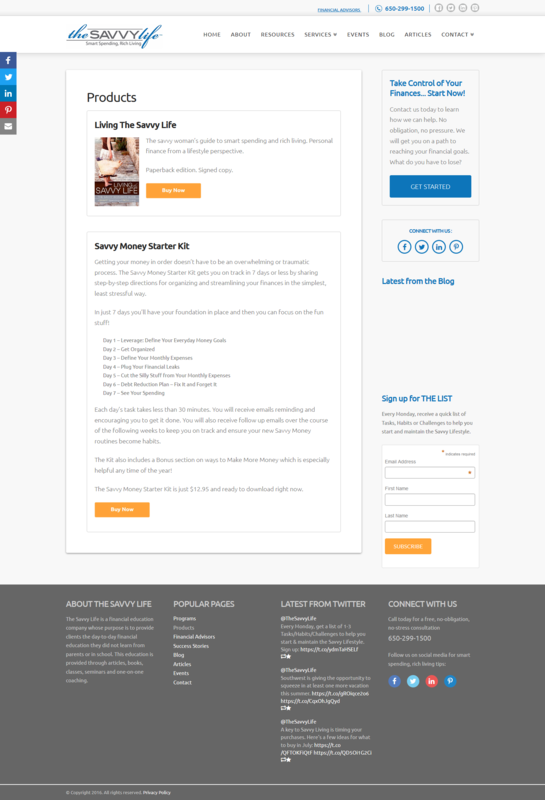 WackyPuppy designed a website for The Savvy Life to establish a web presence. 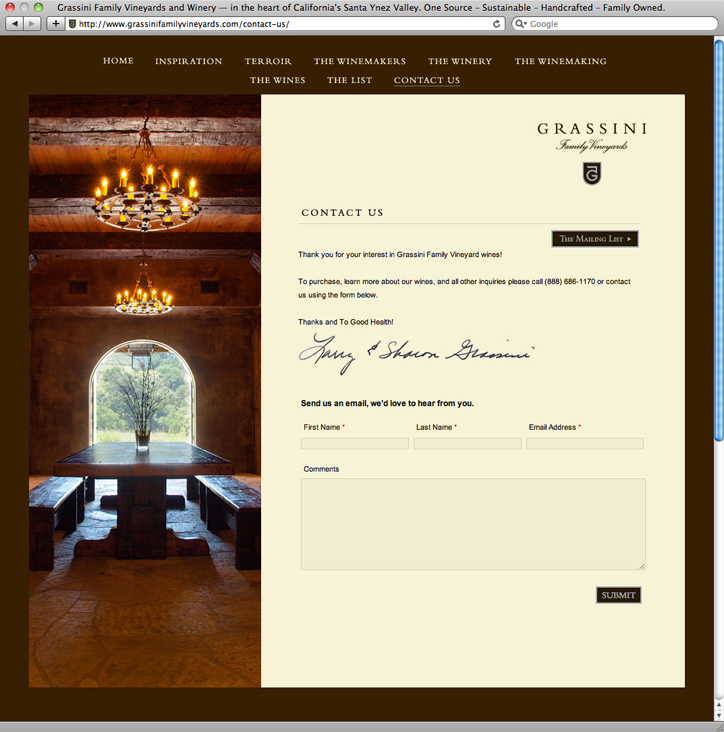 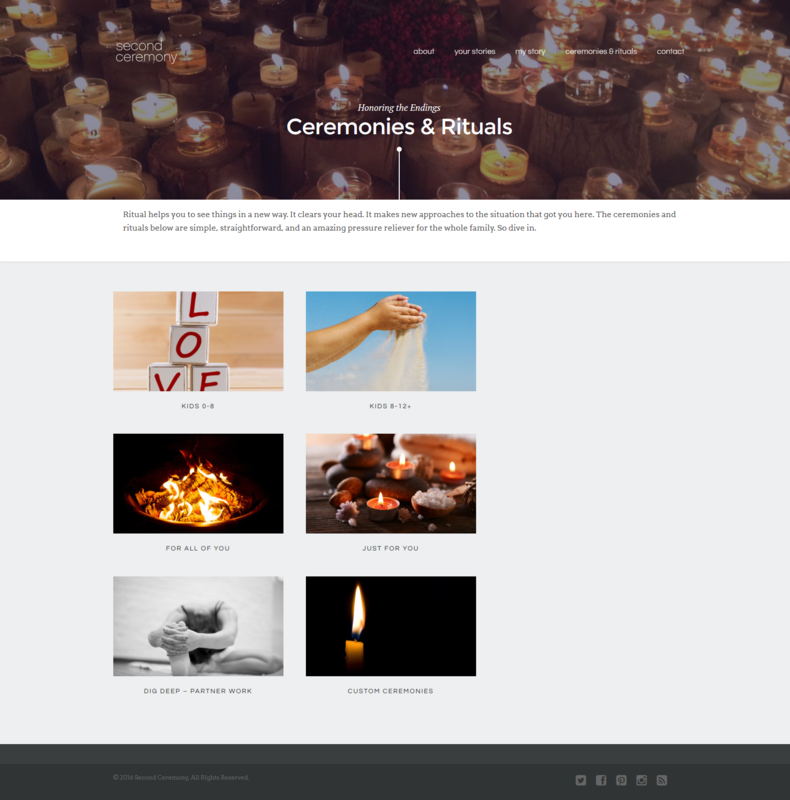 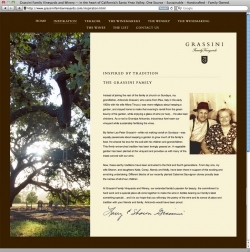 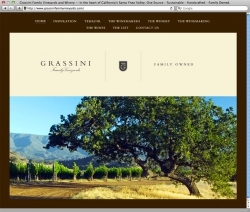 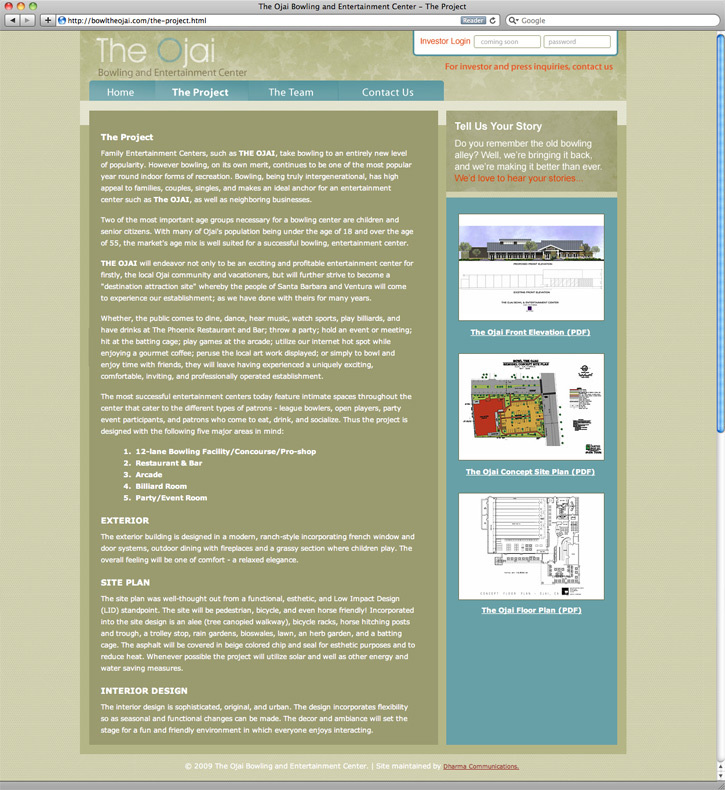 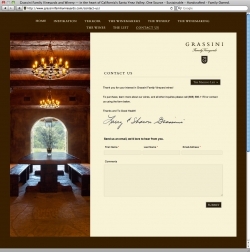 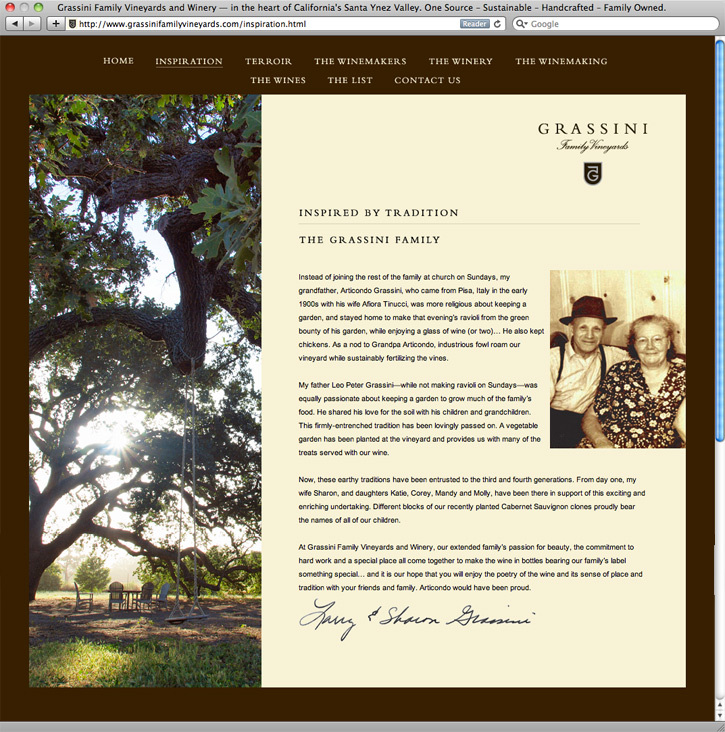 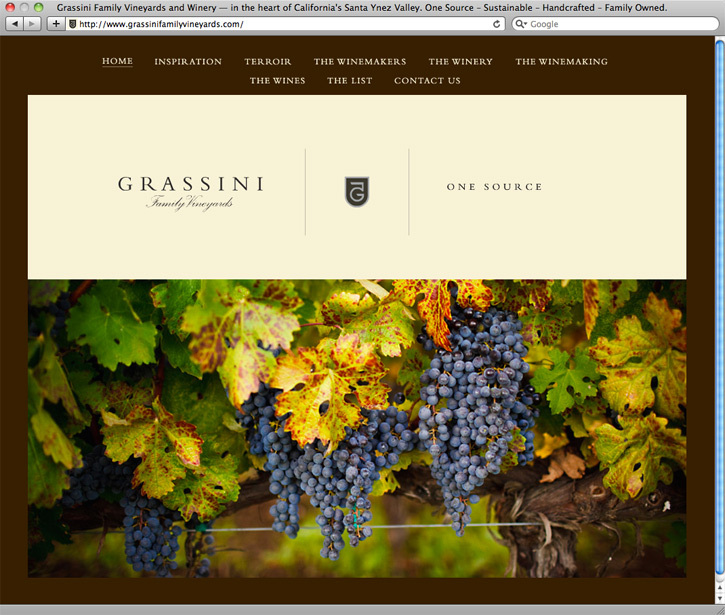 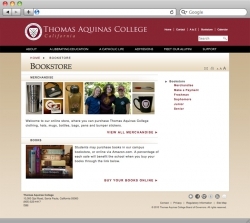 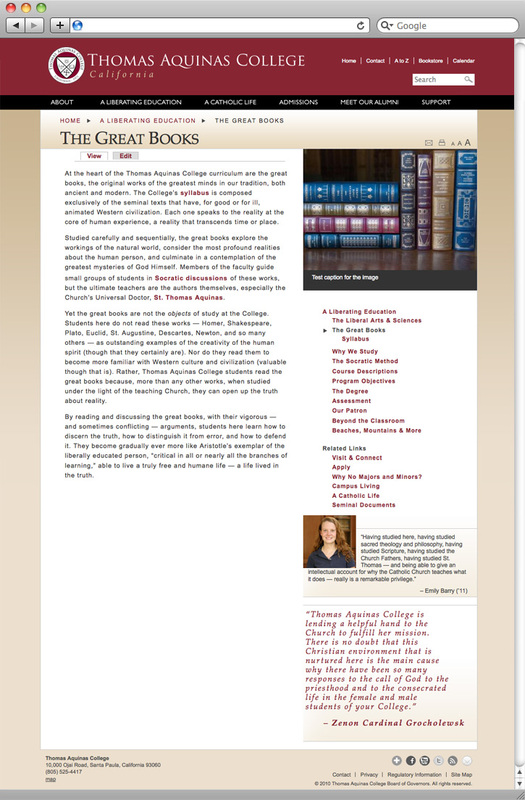 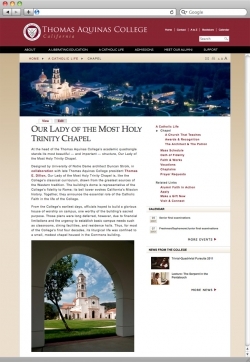 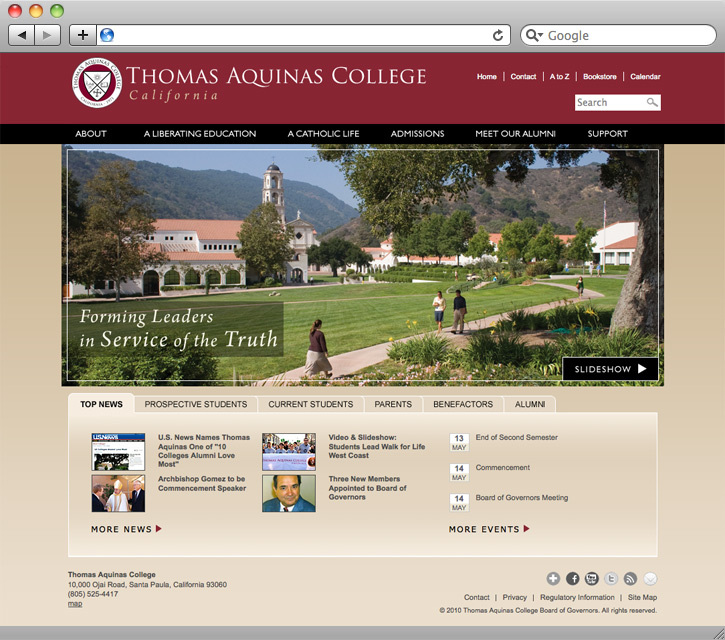 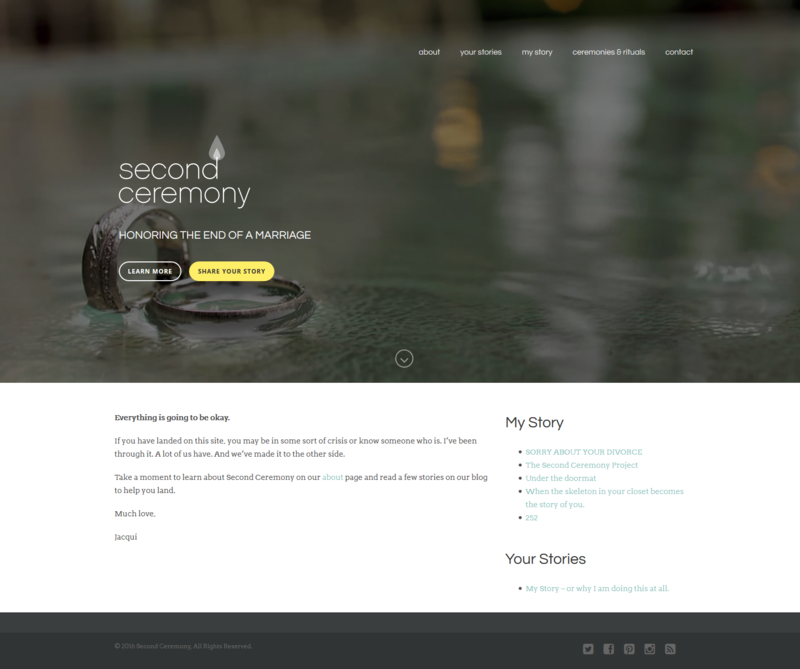 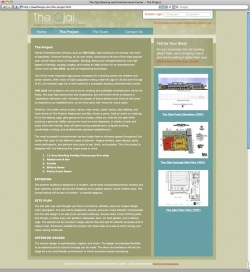 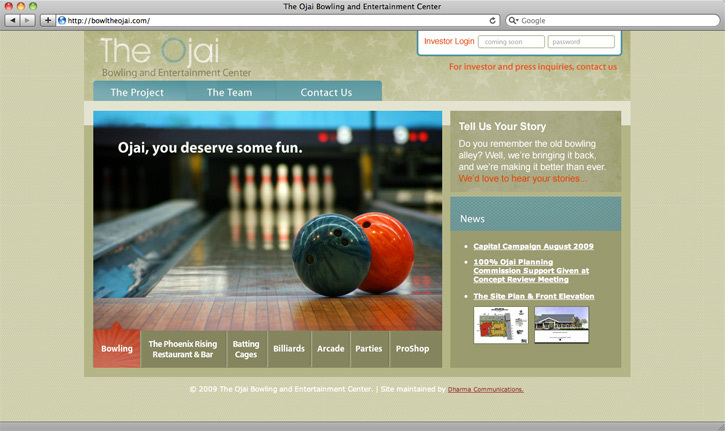 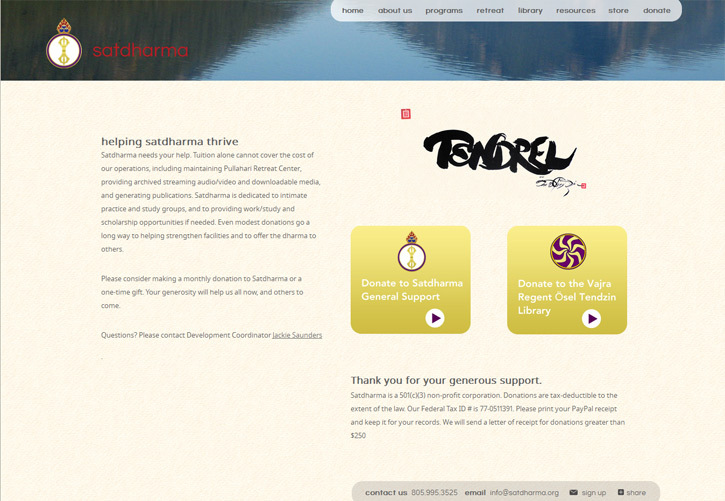 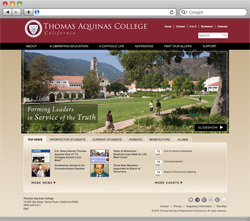 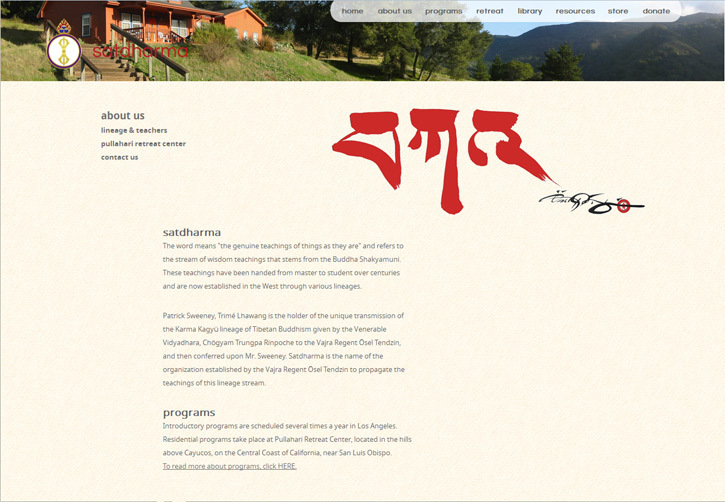 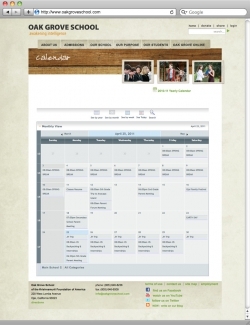 WackyPuppy designed a website for Second Ceremony site to establish a web presence. 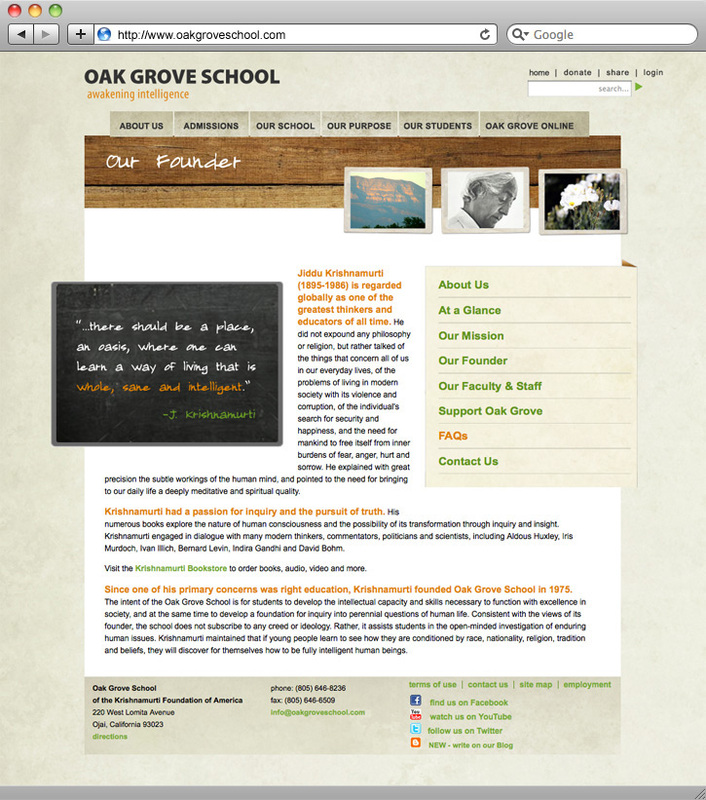 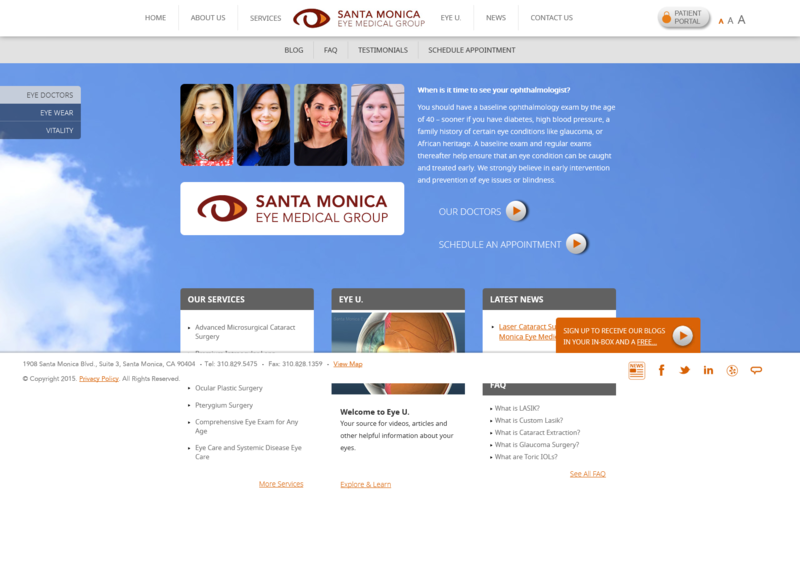 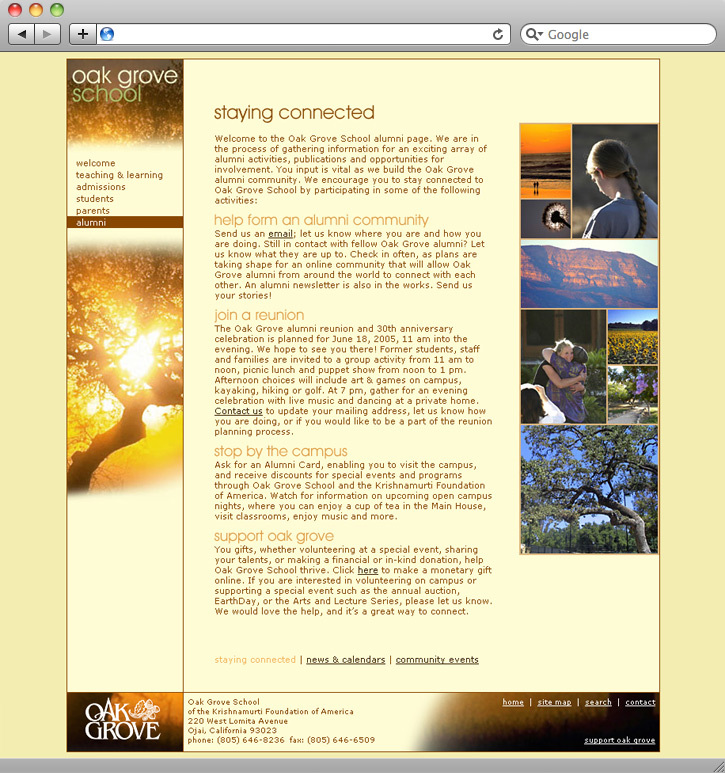 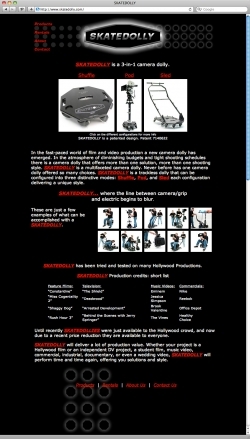 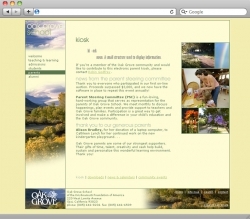 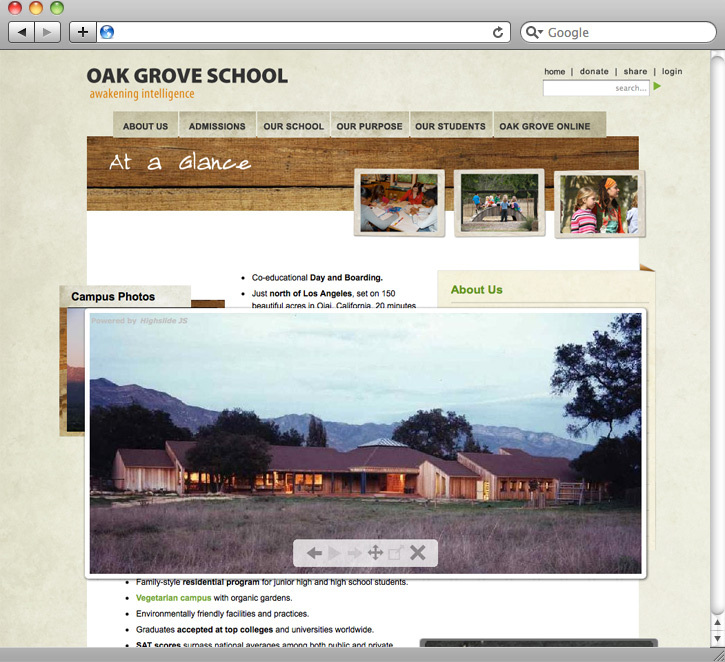 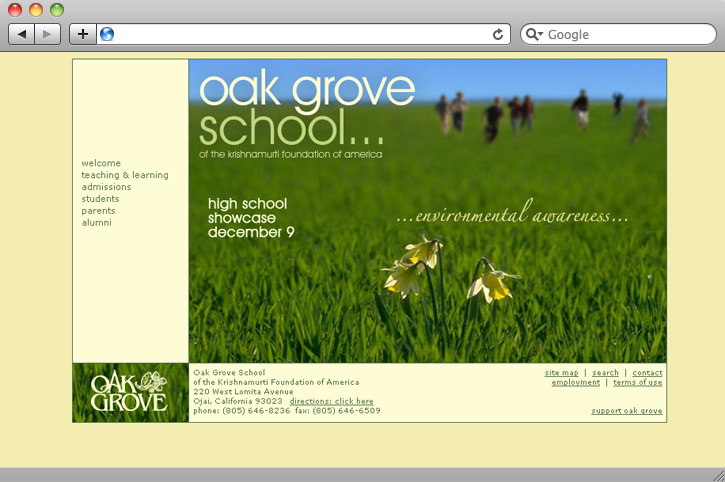 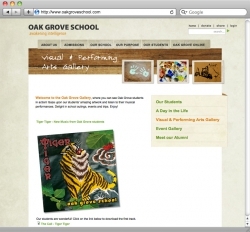 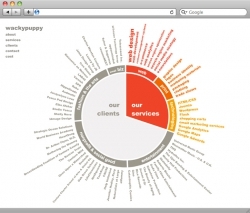 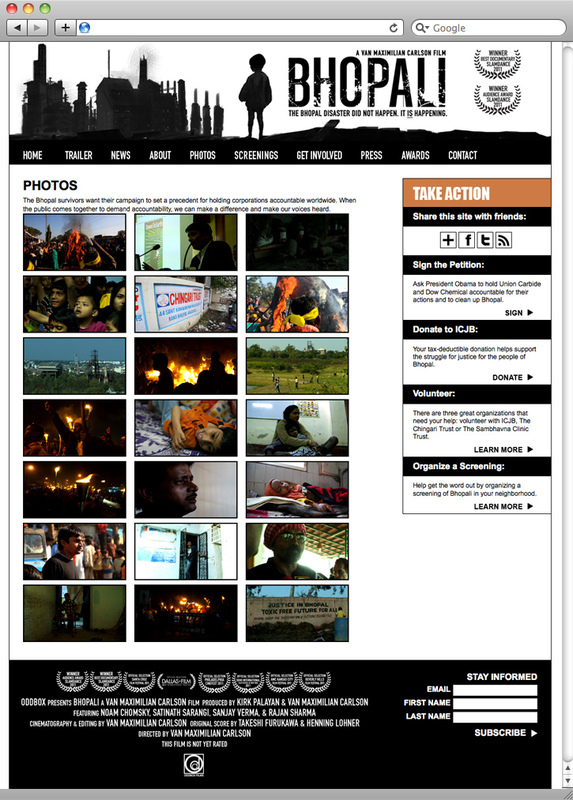 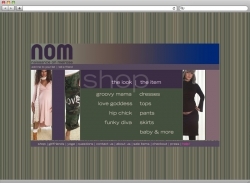 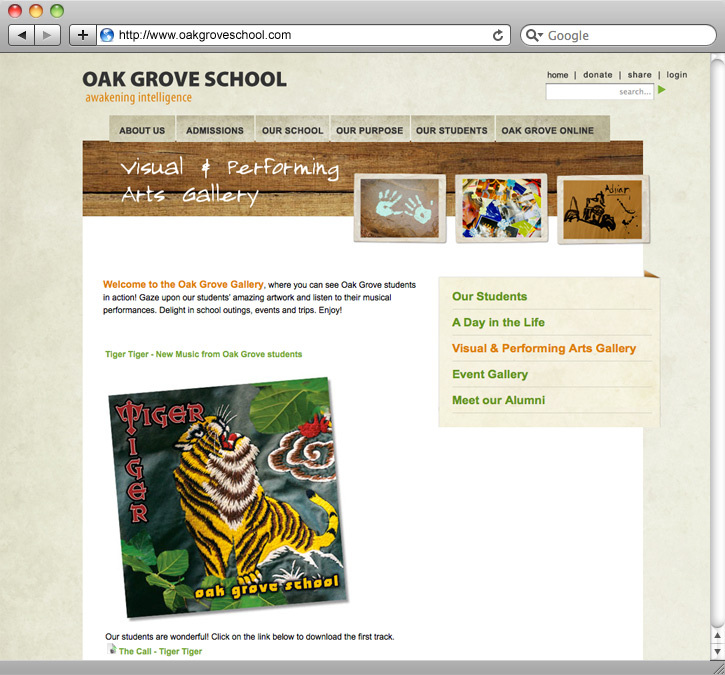 WackyPuppy designed a website for SM Eye Group site to establish a web presence. 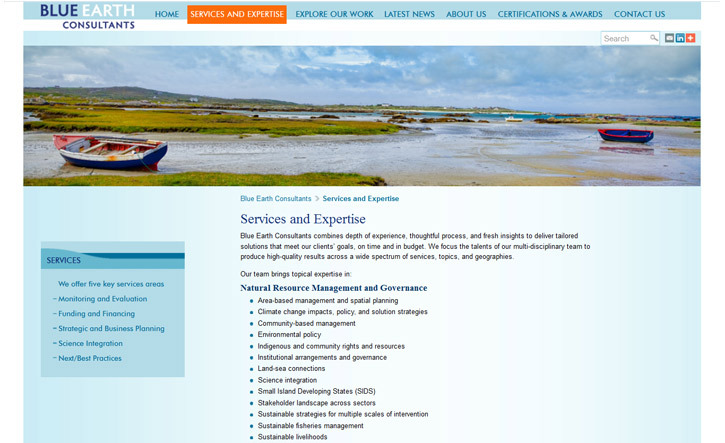 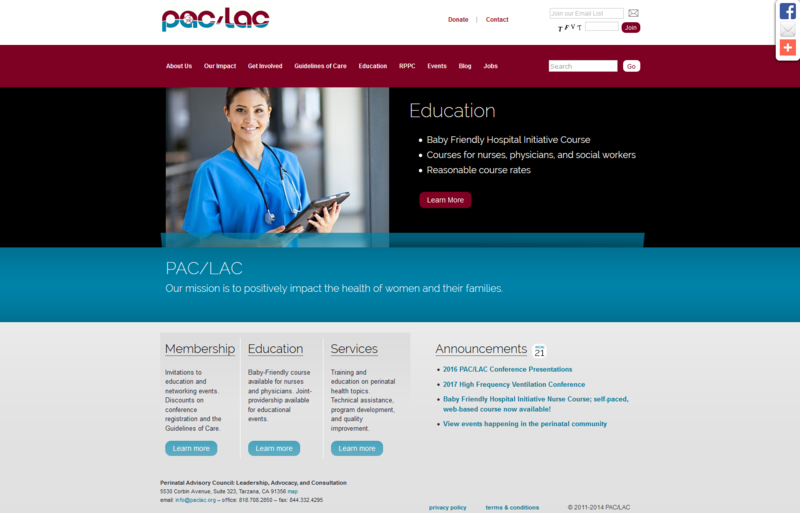 WackyPuppy designed a website for PAC/LAC site to establish a web presence. 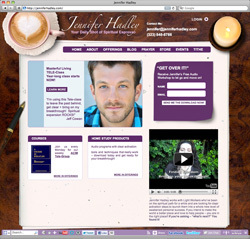 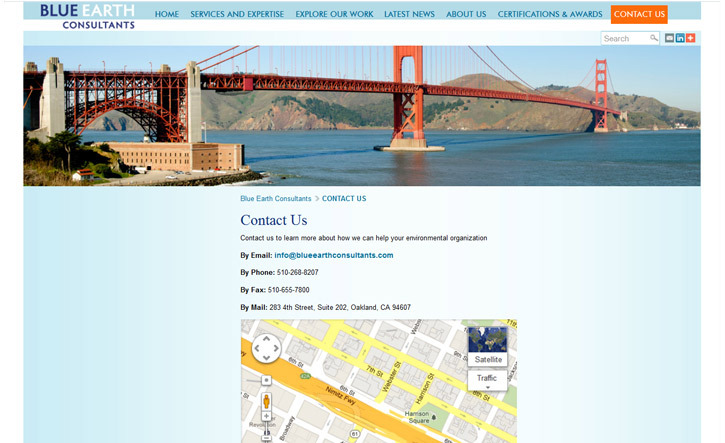 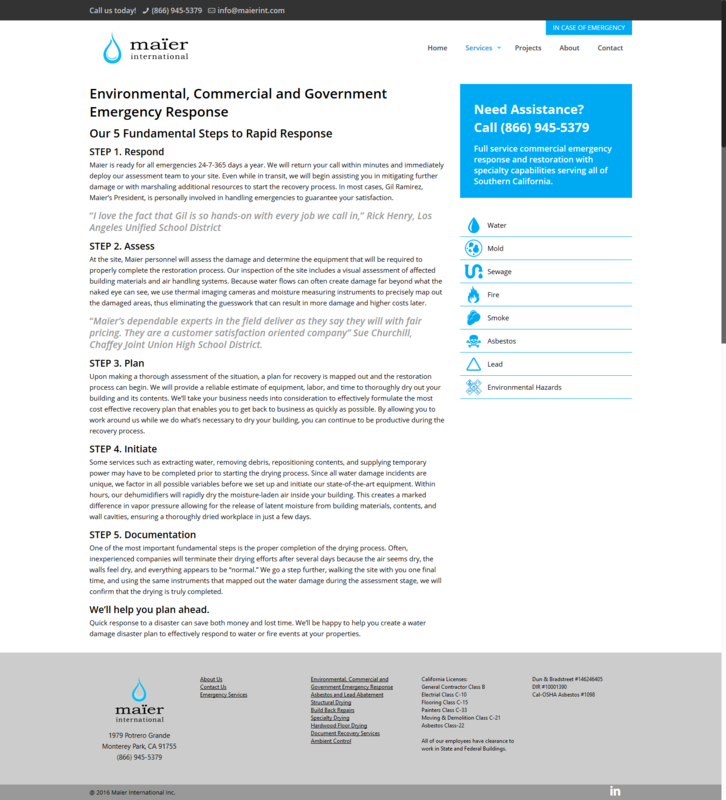 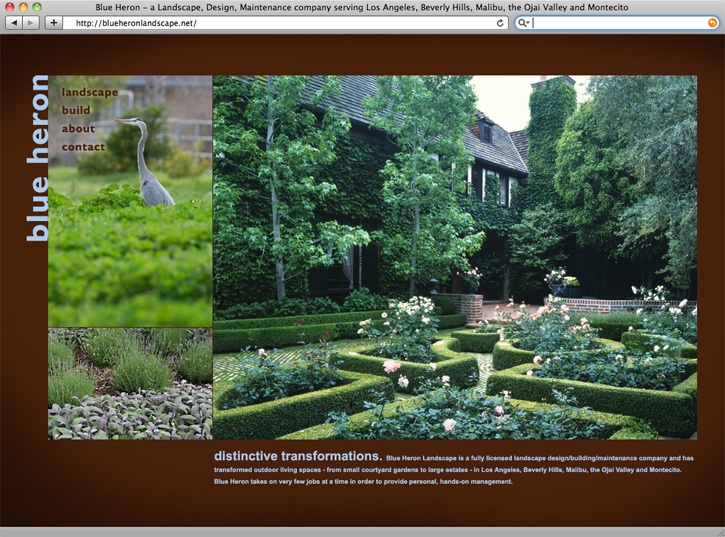 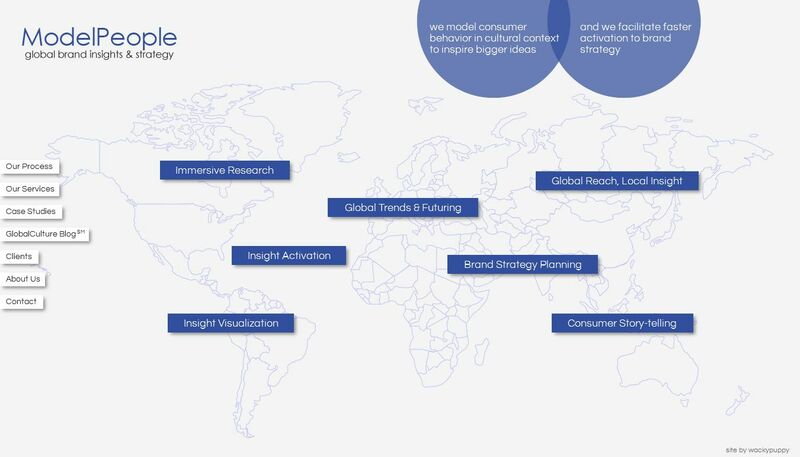 WackyPuppy designed a website for Maier International site to establish a web presence. 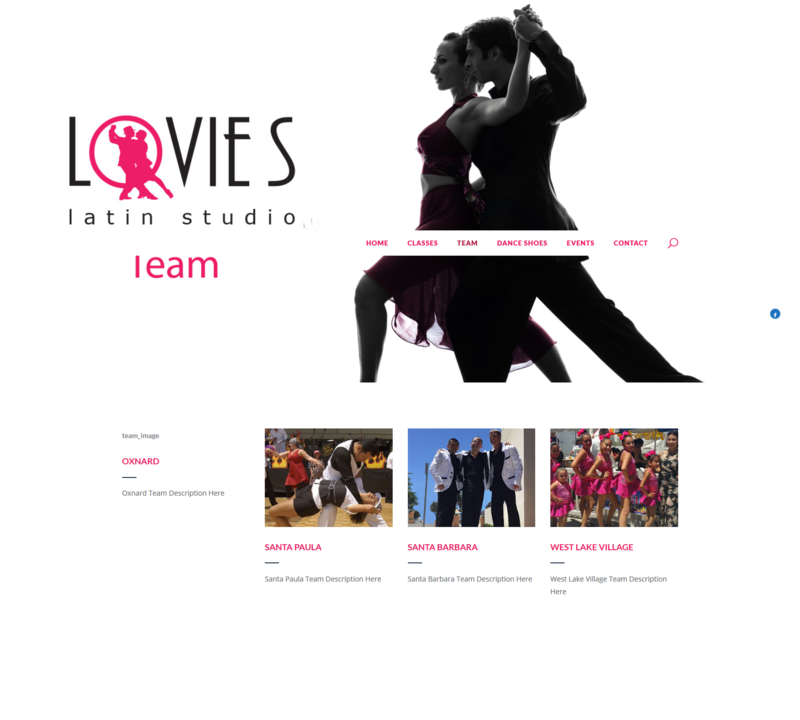 WackyPuppy designed a website for Lovies’ Dance Studio site to establish a web presence. 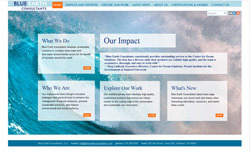 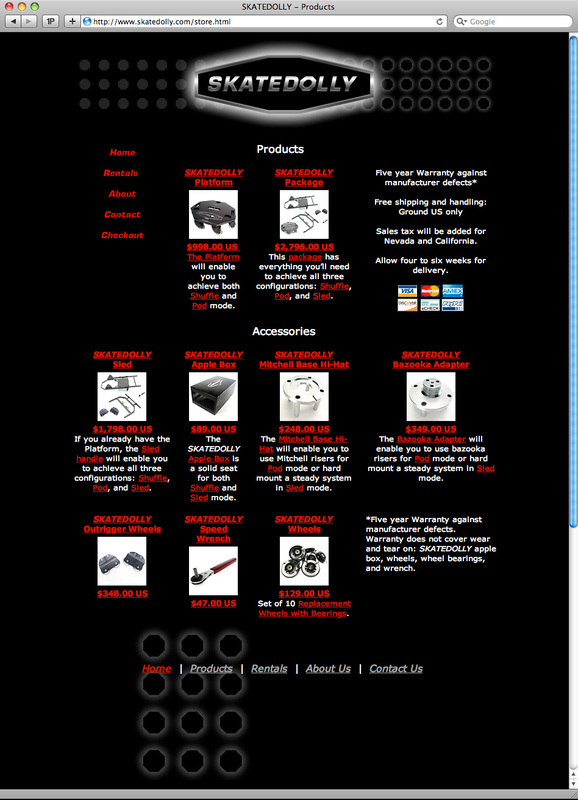 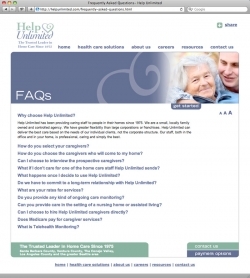 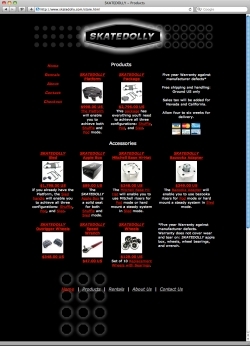 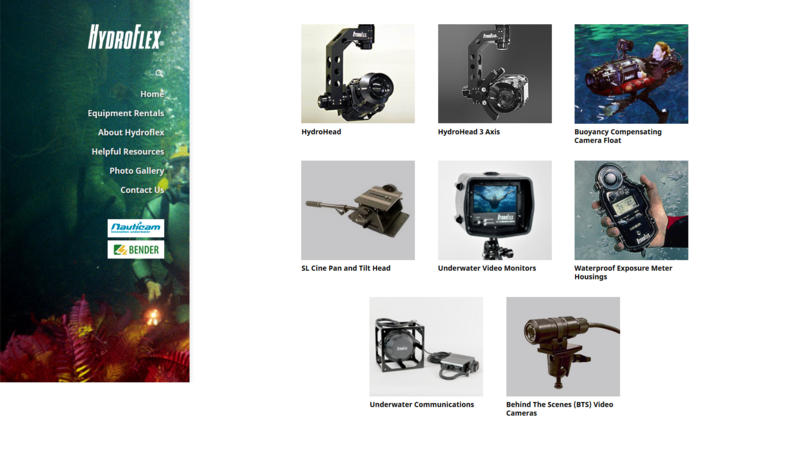 WackyPuppy designed a website for Hydroflex site to establish a web presence. 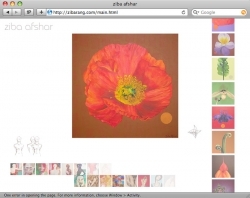 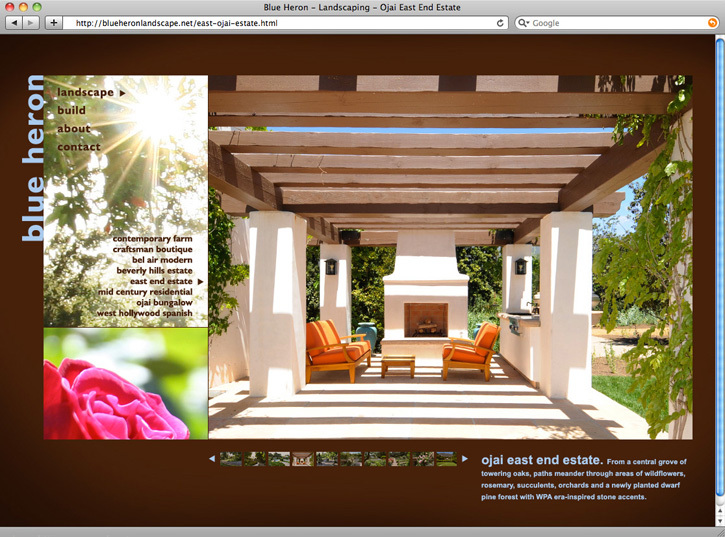 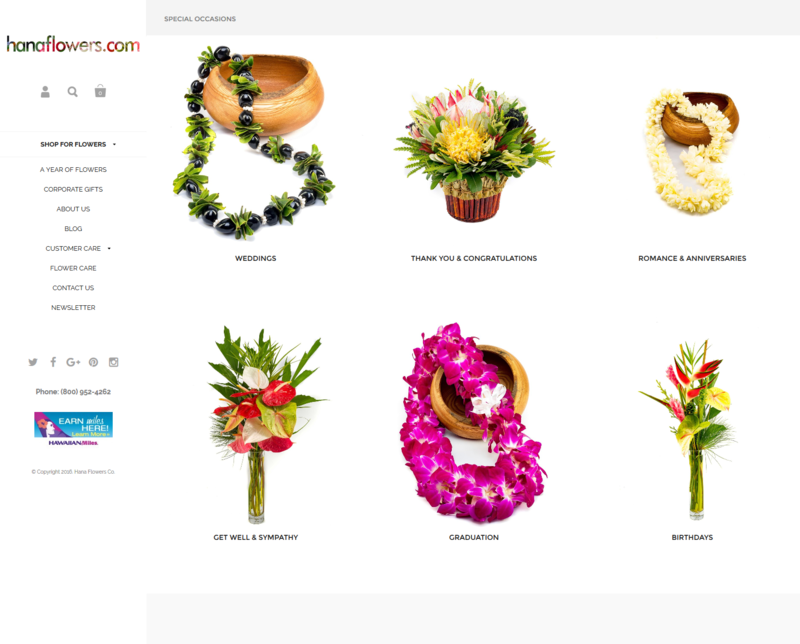 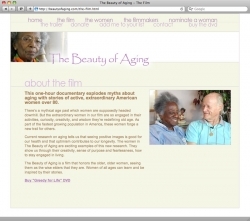 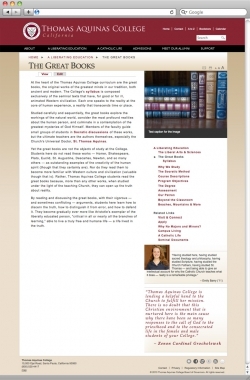 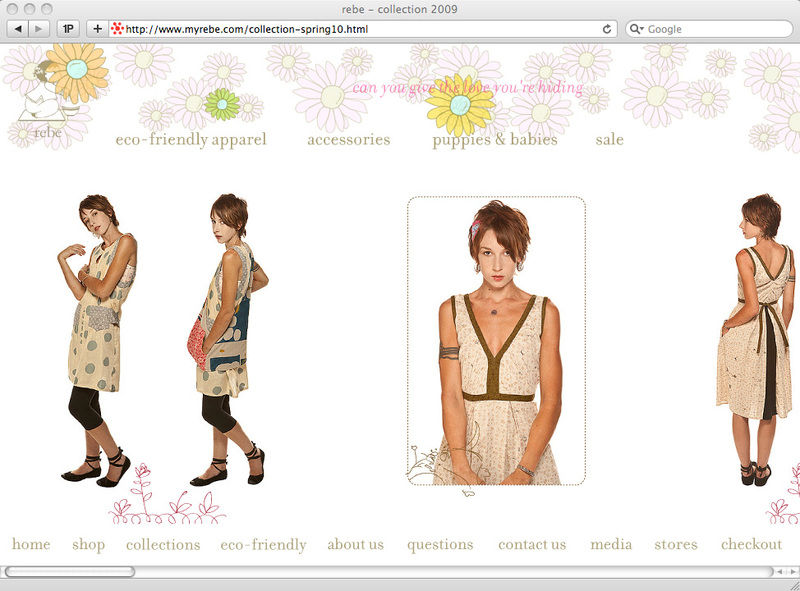 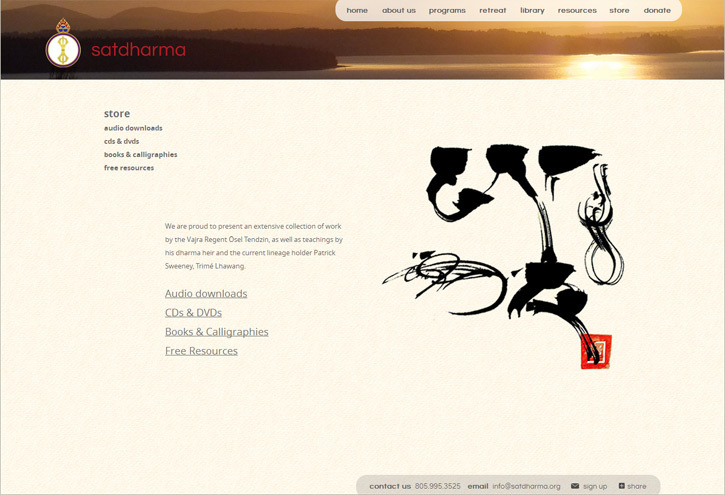 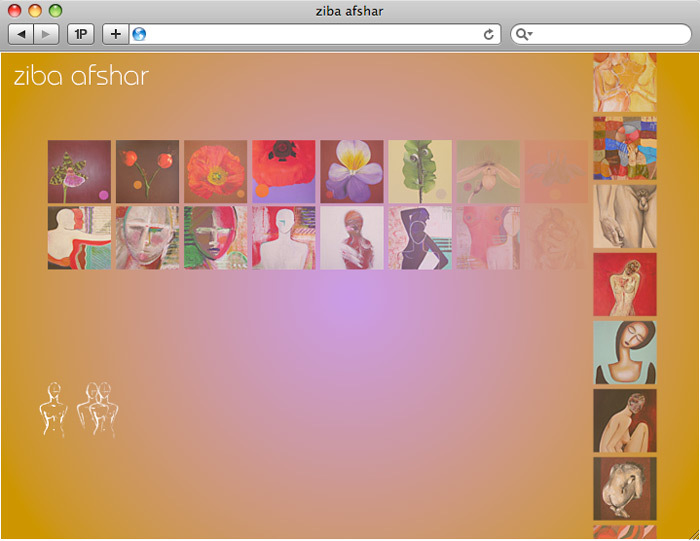 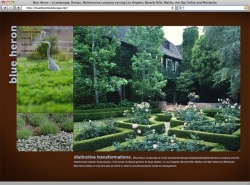 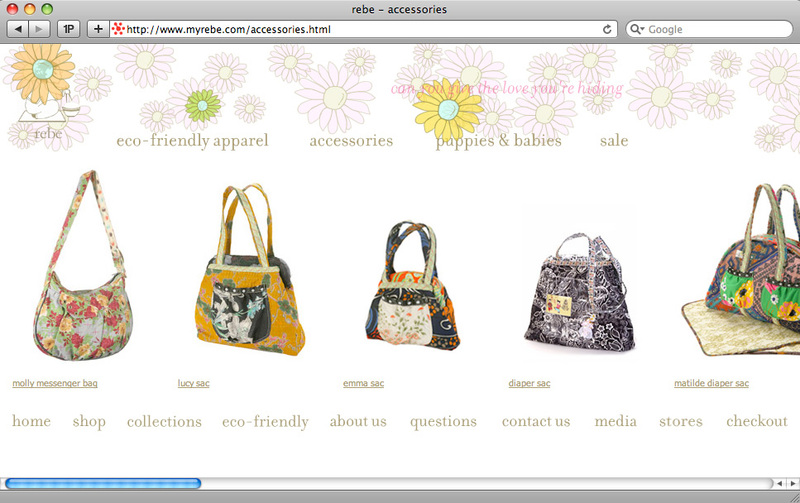 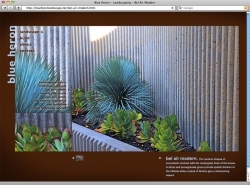 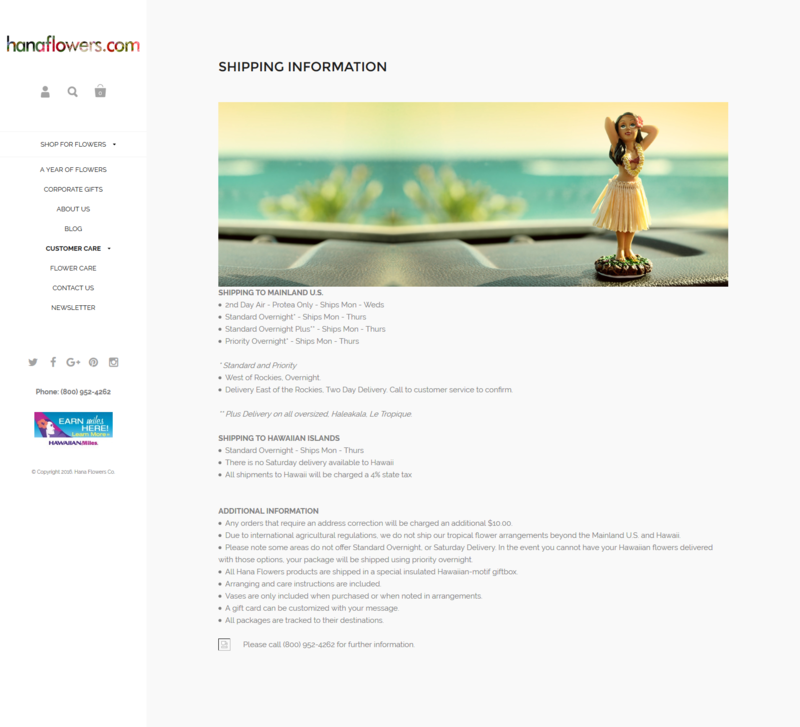 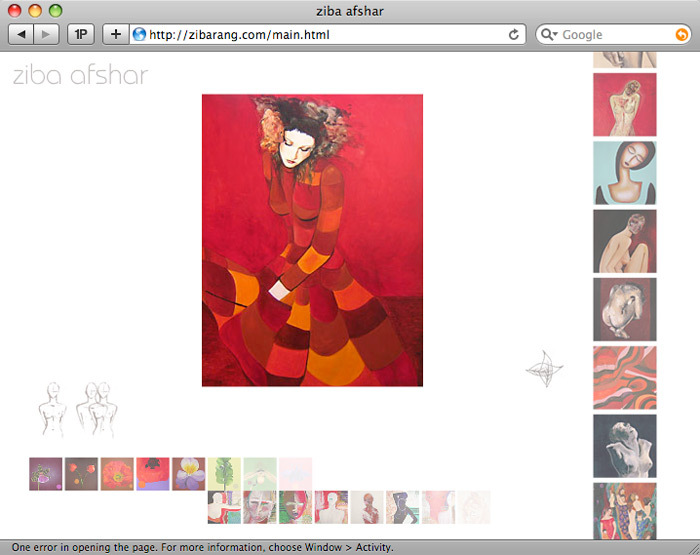 WackyPuppy designed a website for Hana Flowers site to establish a web presence. WackyPuppy designed a website for Focal Flight site to establish a web presence. 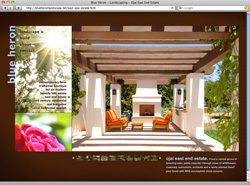 WackyPuppy designed a website for Epic Storage site to establish a web presence. 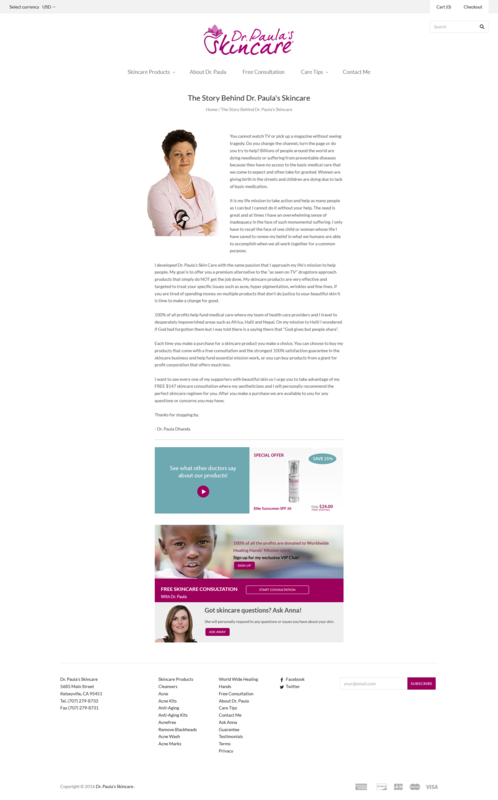 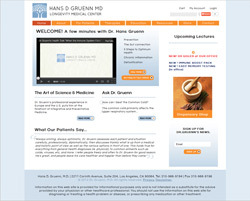 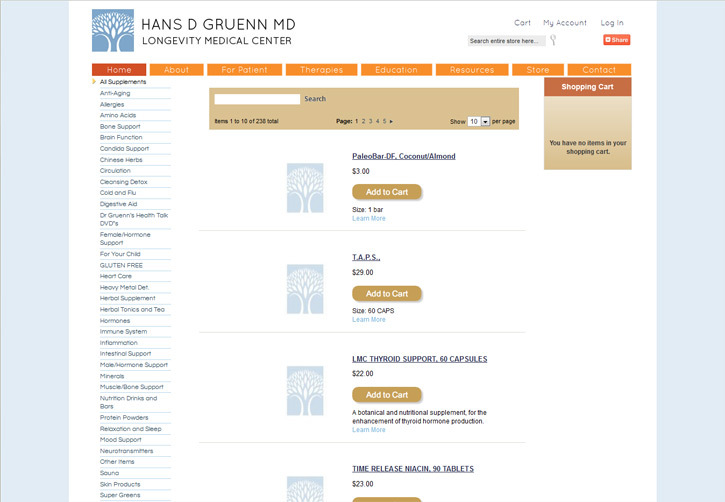 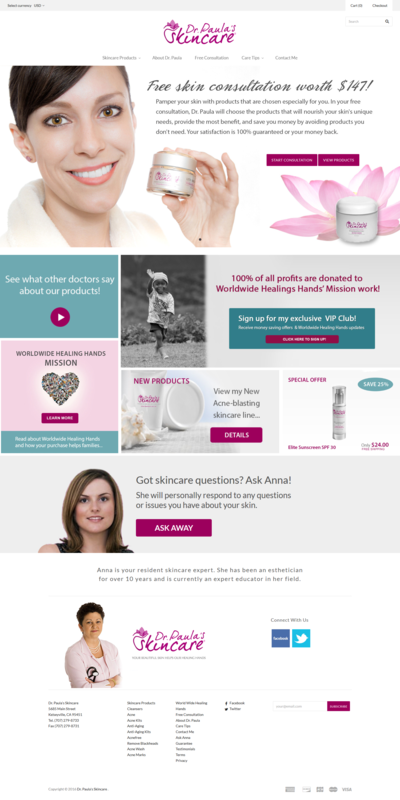 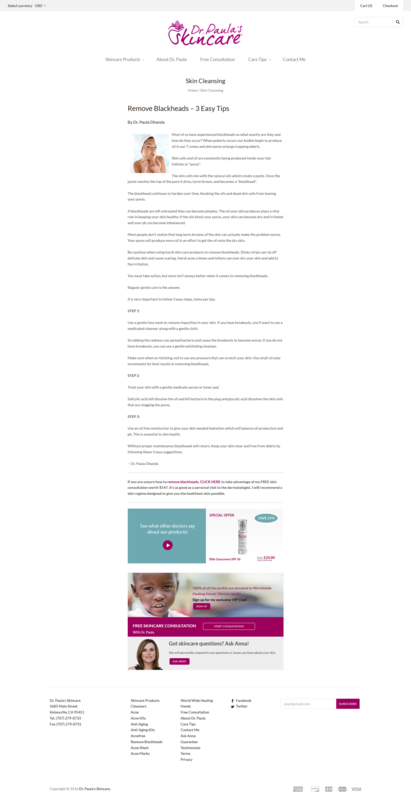 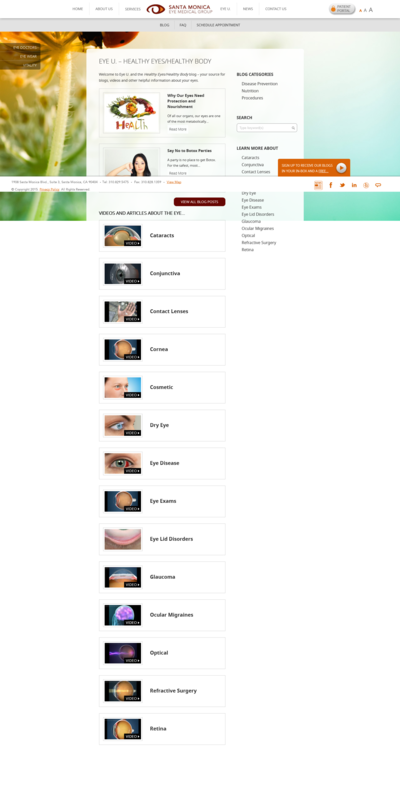 WackyPuppy designed a website for Dr. Paula’s Skincare to establish a web presence. 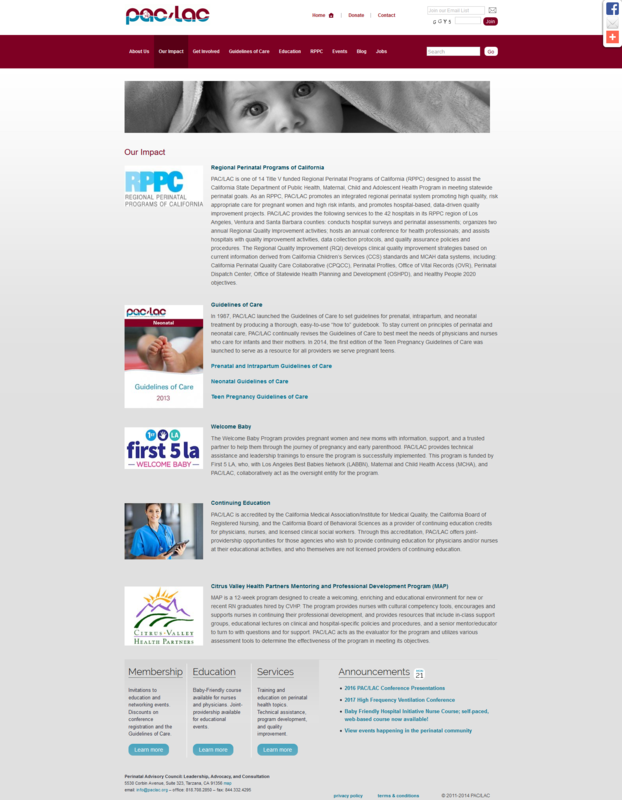 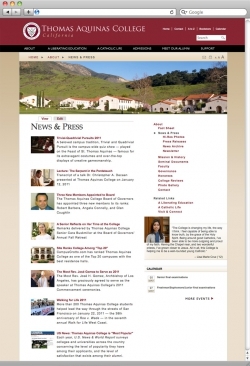 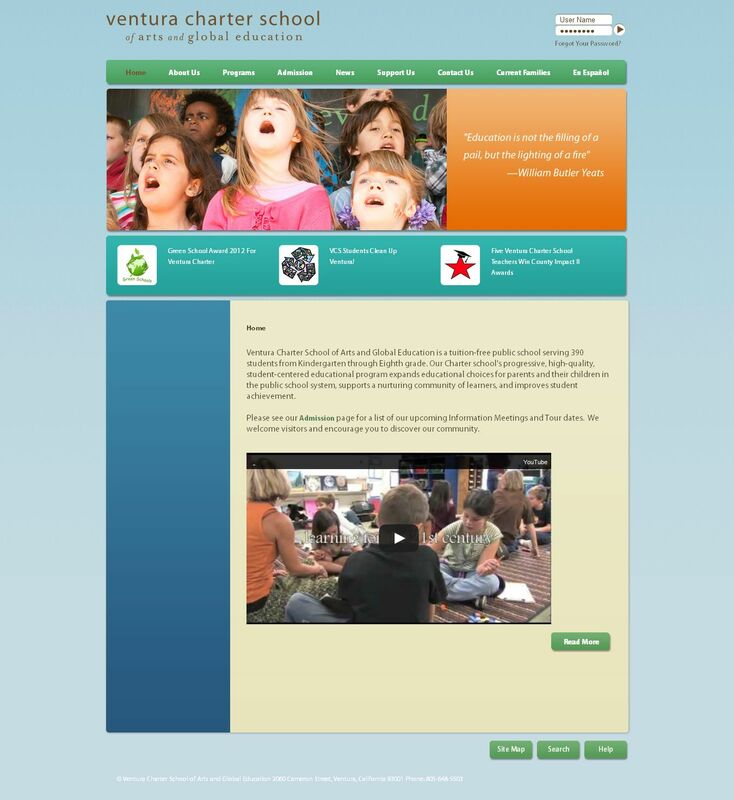 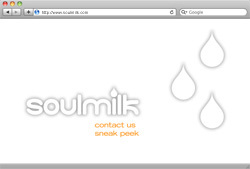 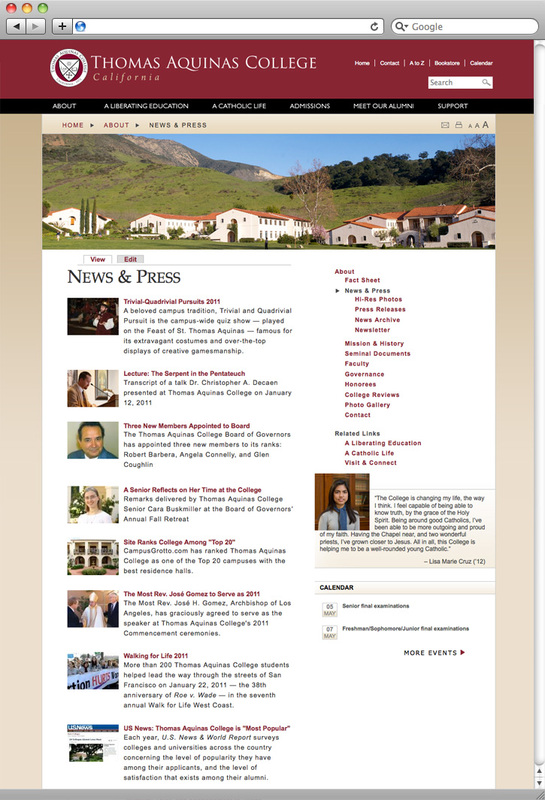 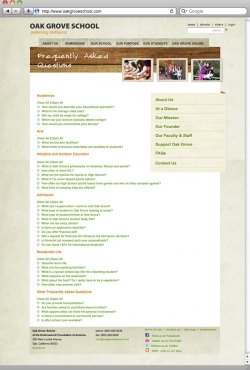 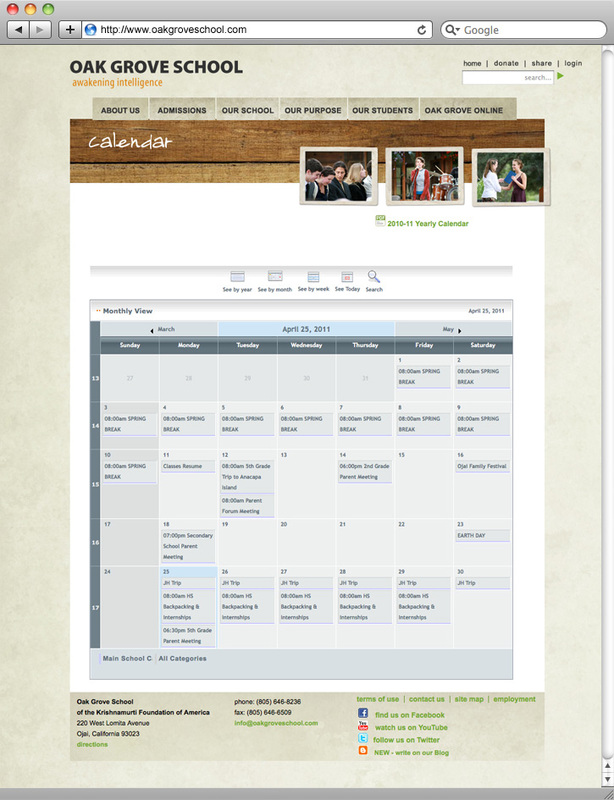 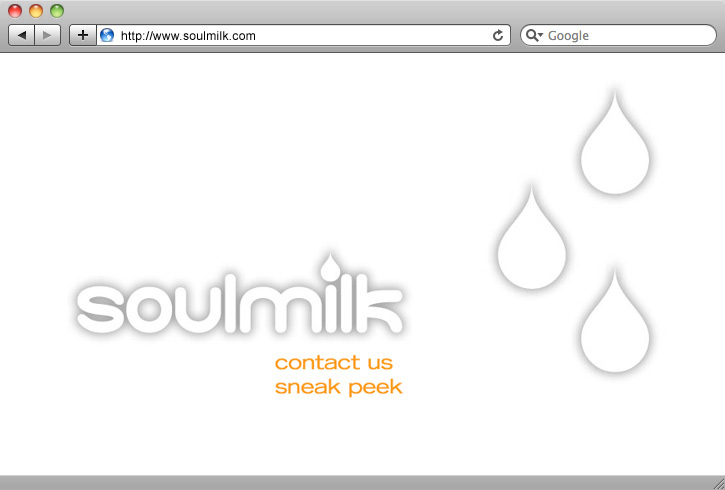 WackyPuppy designed a website for Breastfeeding Coalition of Ventura site to establish a web presence. 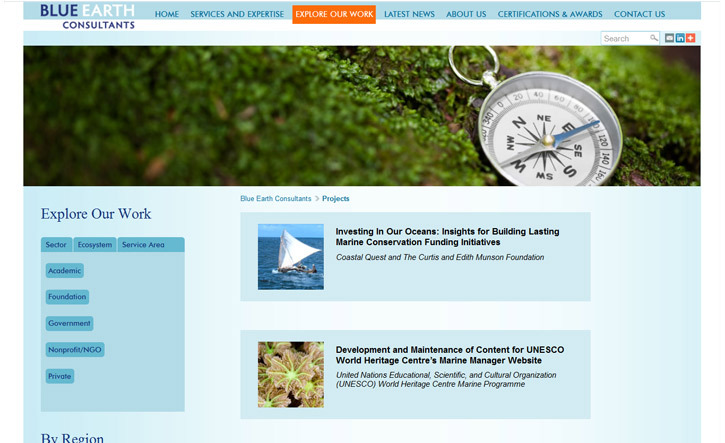 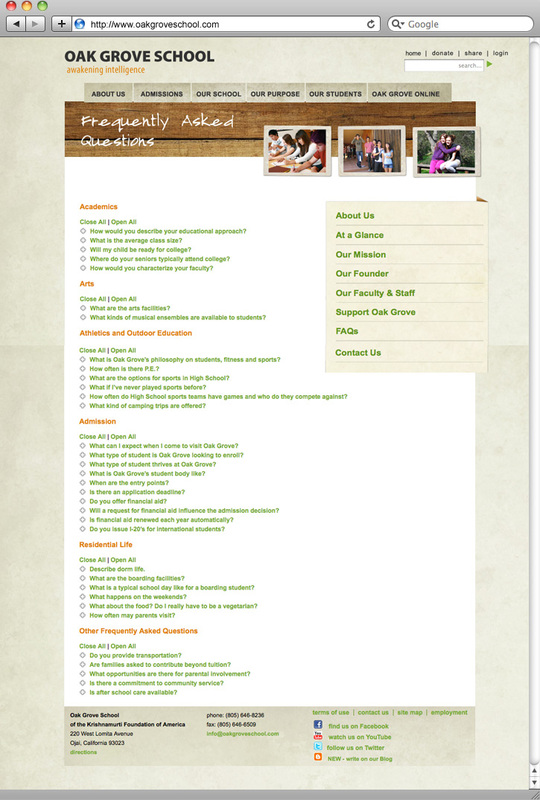 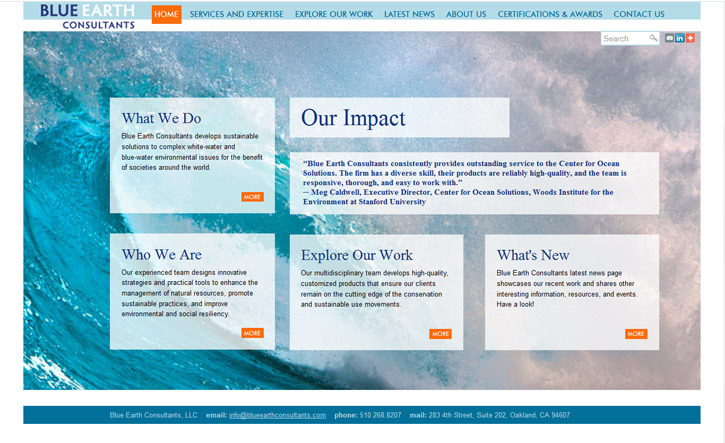 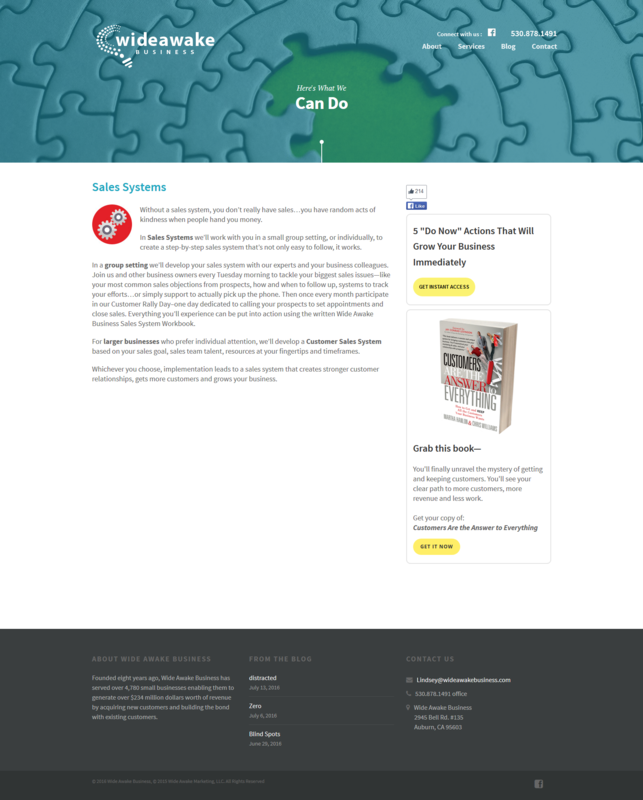 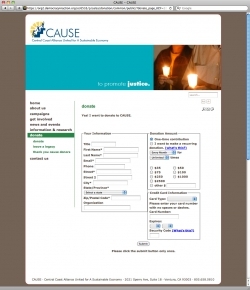 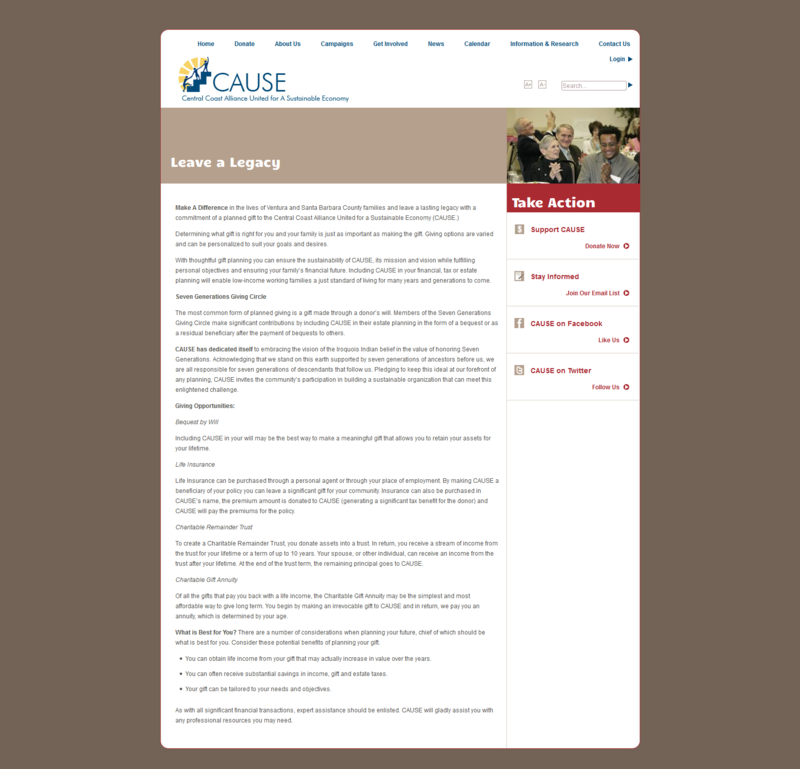 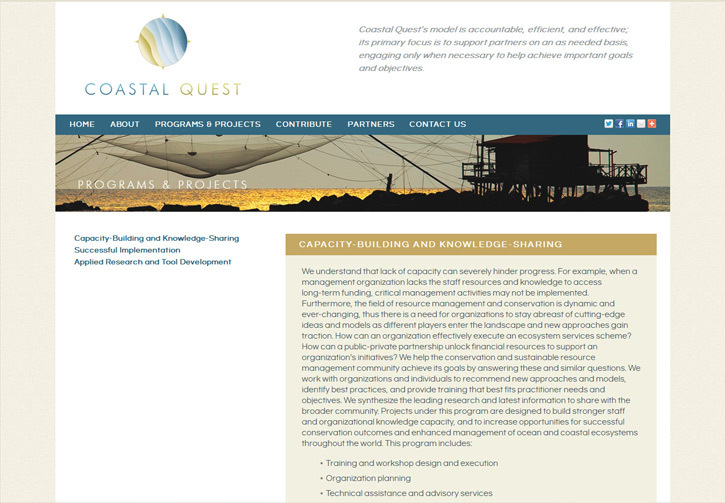 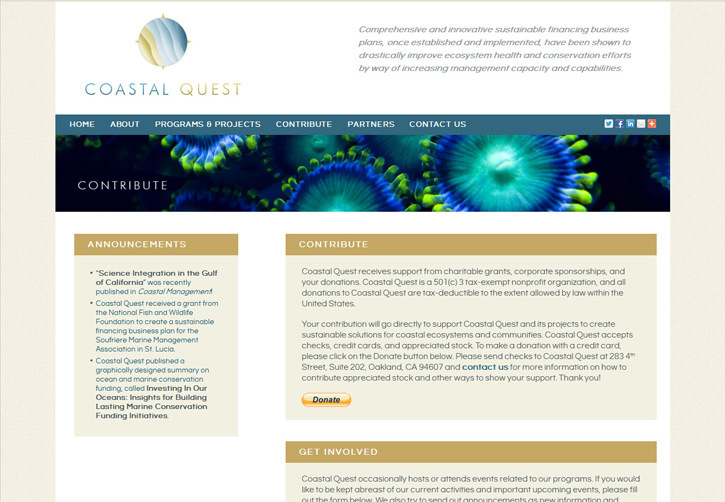 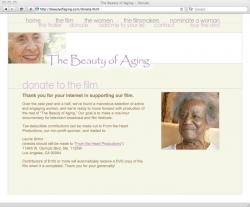 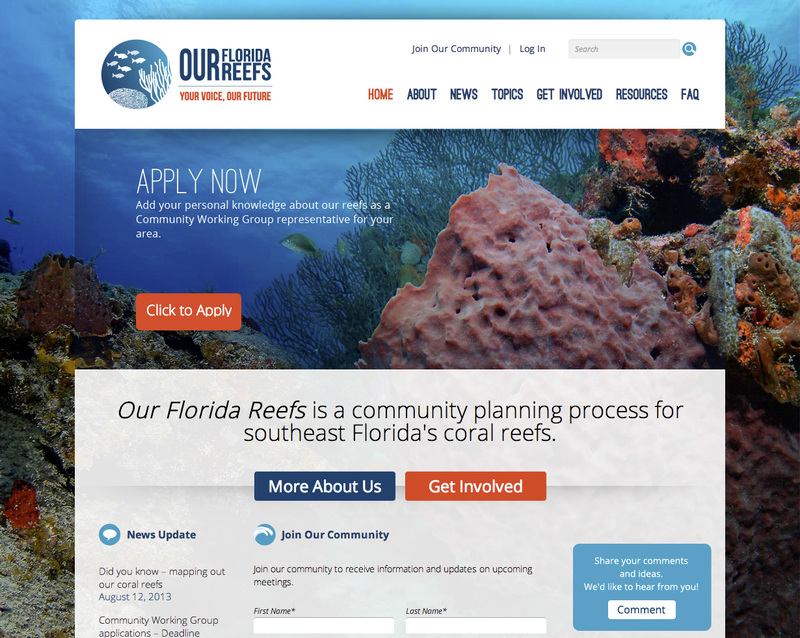 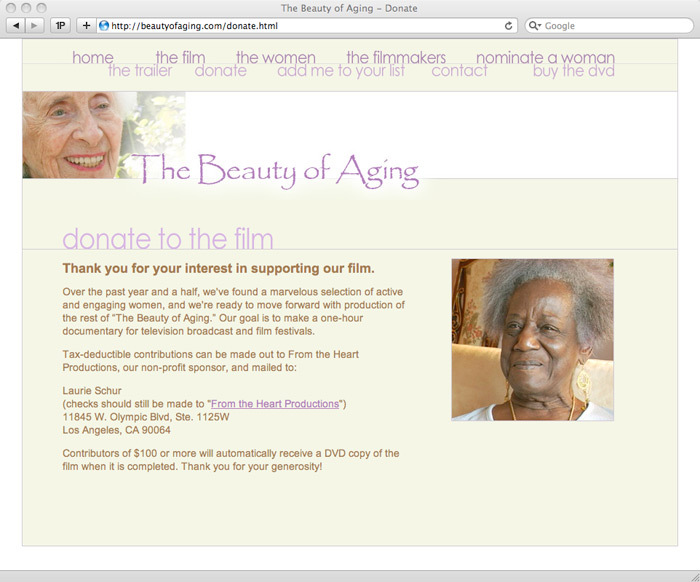 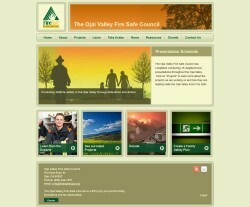 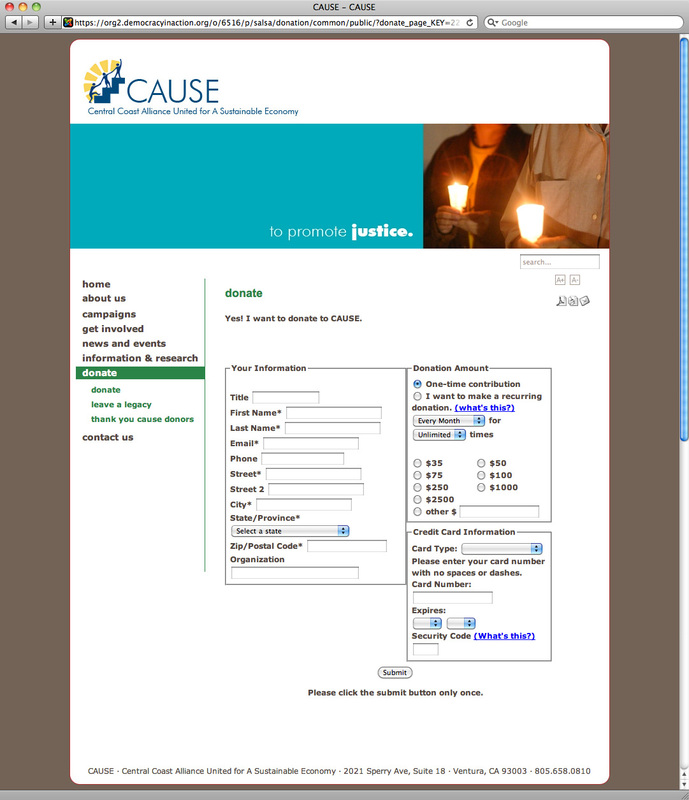 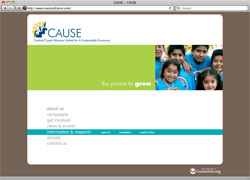 WackyPuppy designed a website for CAUSE/CAF to establish a web presence. 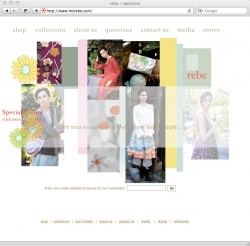 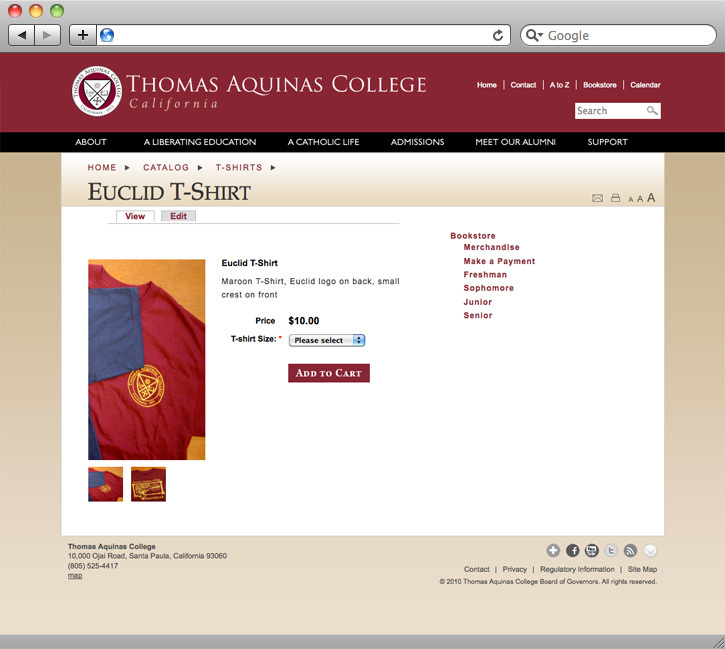 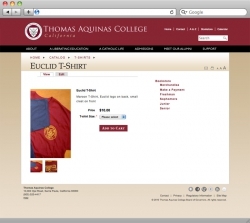 WackyPuppy designed a website for American Silkscreen Inc. to establish a web presence. 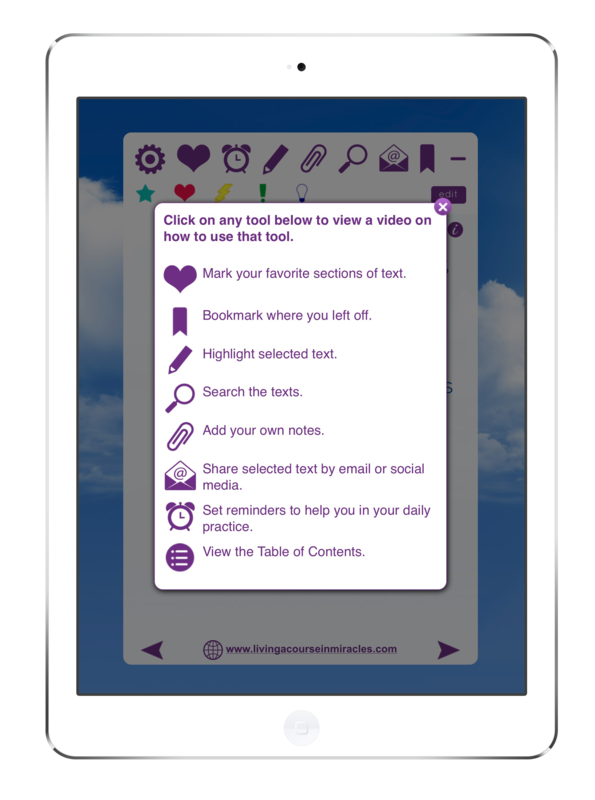 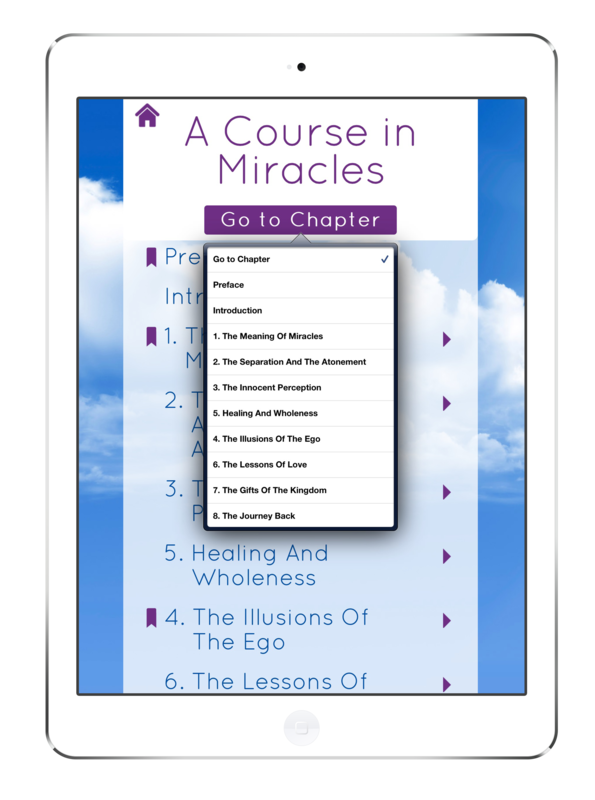 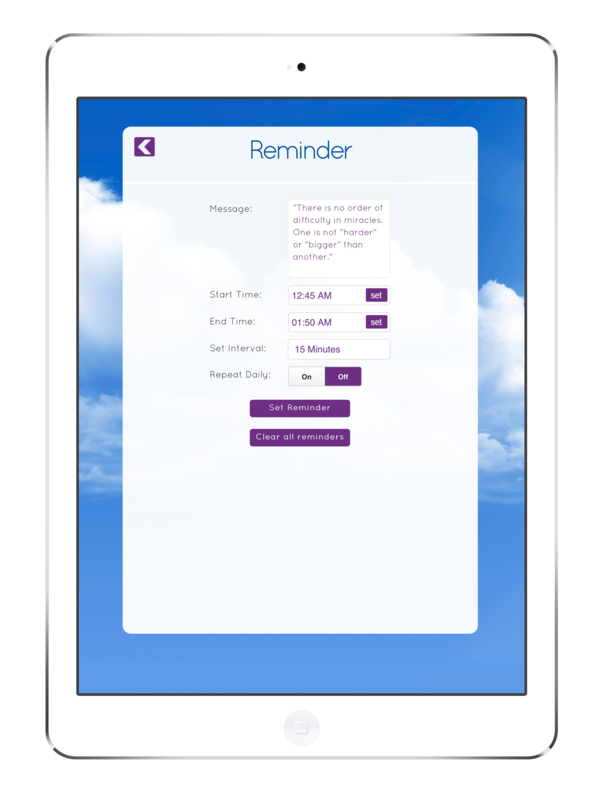 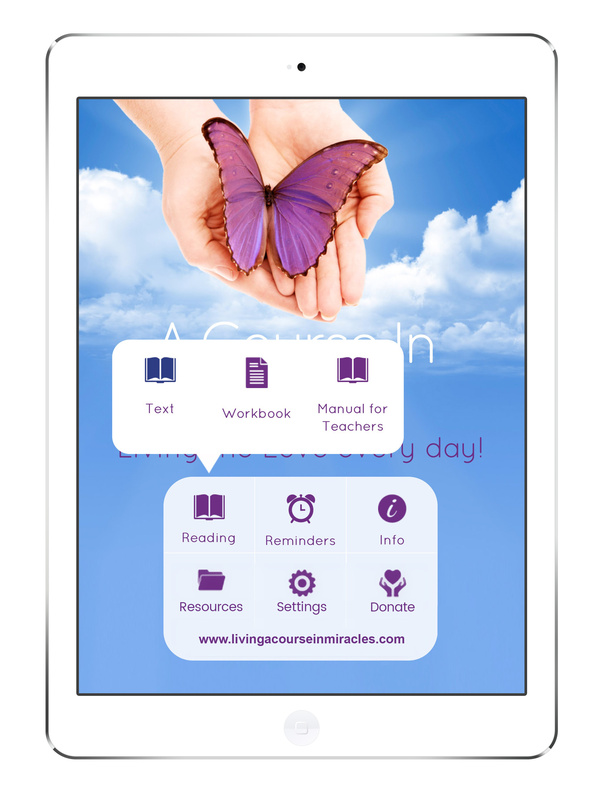 WackyPuppy designed and created an app for Acim App. 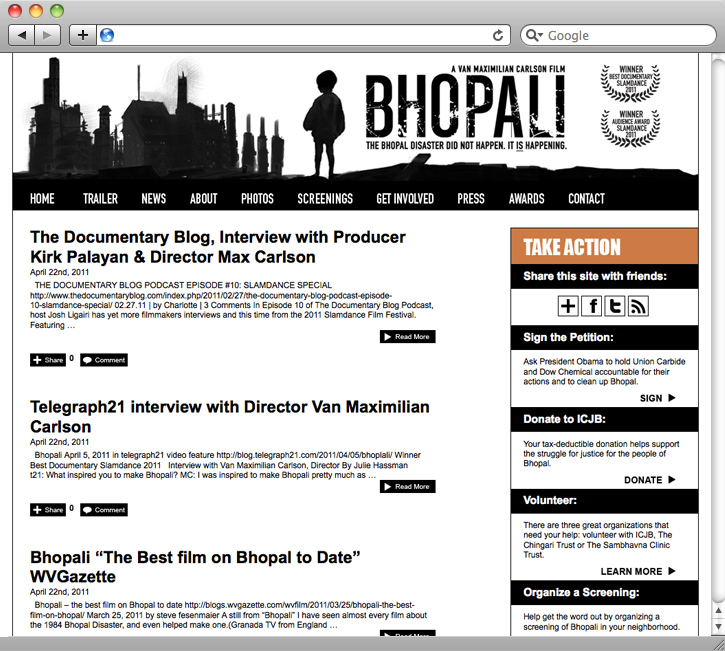 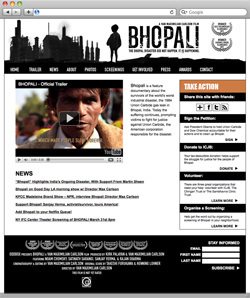 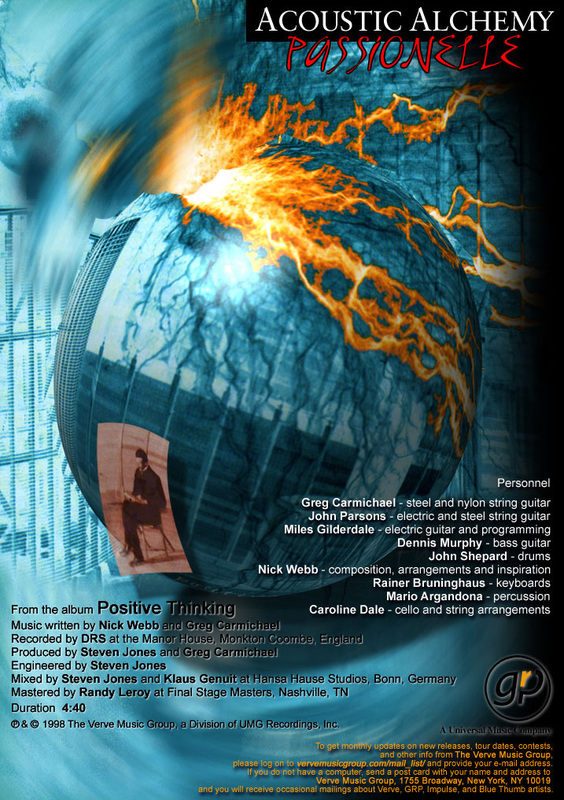 Designed and implemented a website for this feature documentary by Van Maximilian Carlson about the 1984 Union Carbide gas disaster. 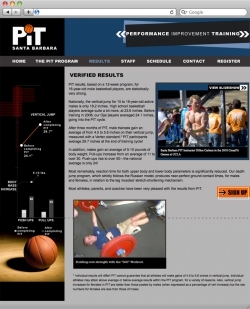 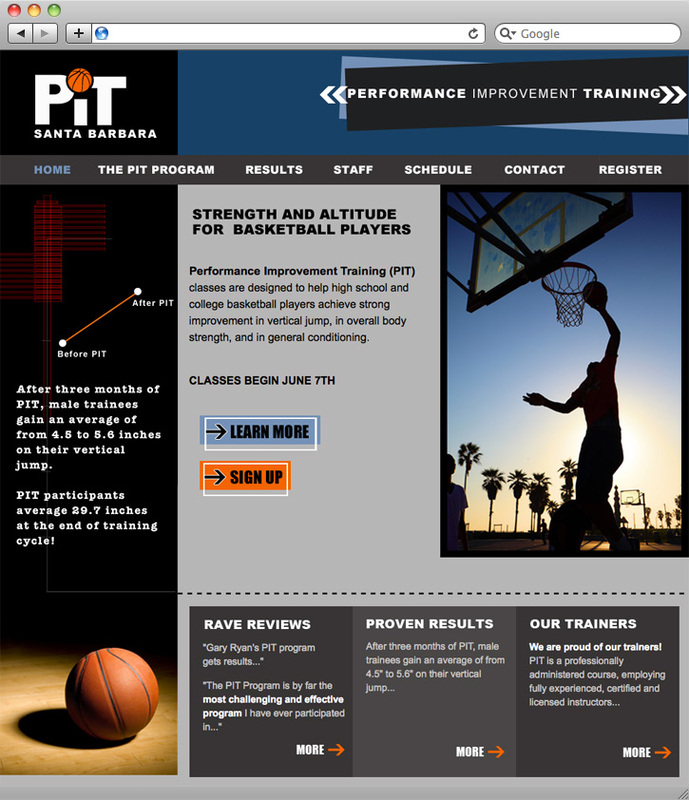 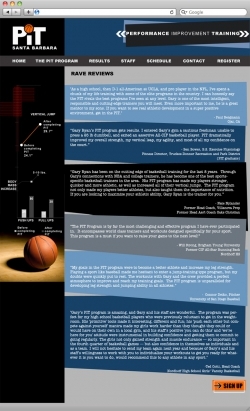 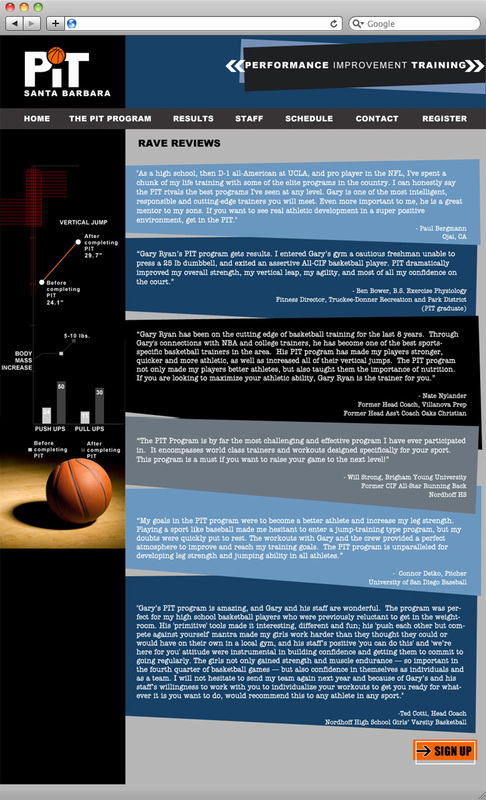 Performance Improvement Training classes help high school and college basketball players achieve strong improvement in vertical jump, in overall body strength, and in general conditioning. 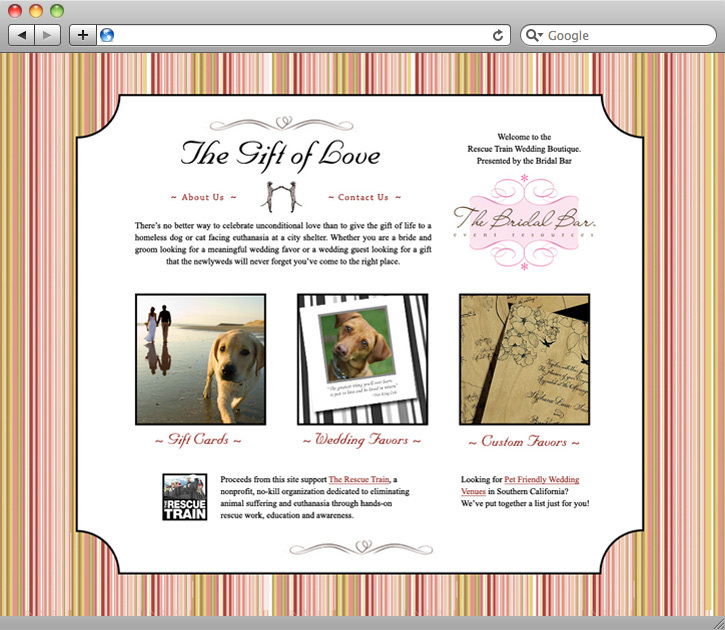 WackyPuppy developed their business identity, as well as a website with an online registration form. 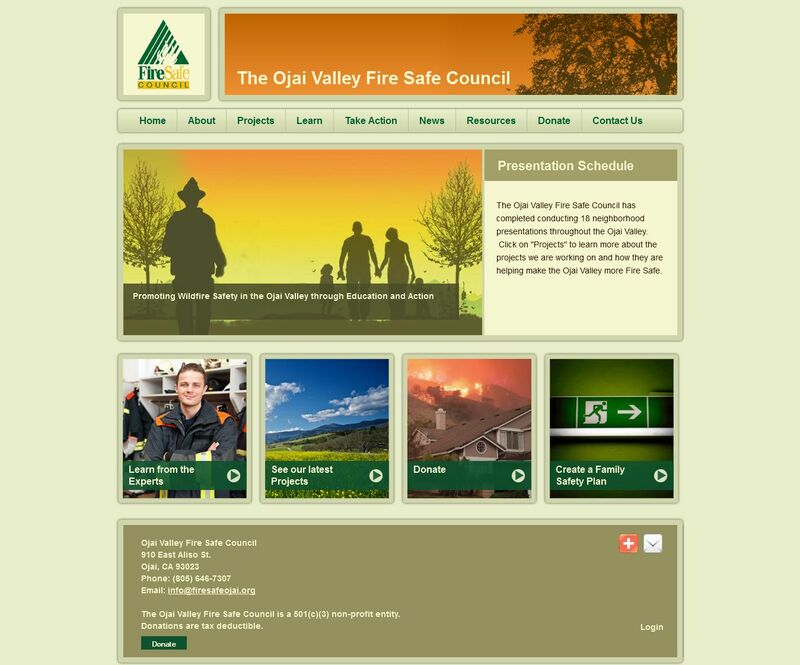 The website was developed in HTML/CSS, but incorporates a simple-to-use and very affordable content management system component that allows the client to edit the text on their site themselves. 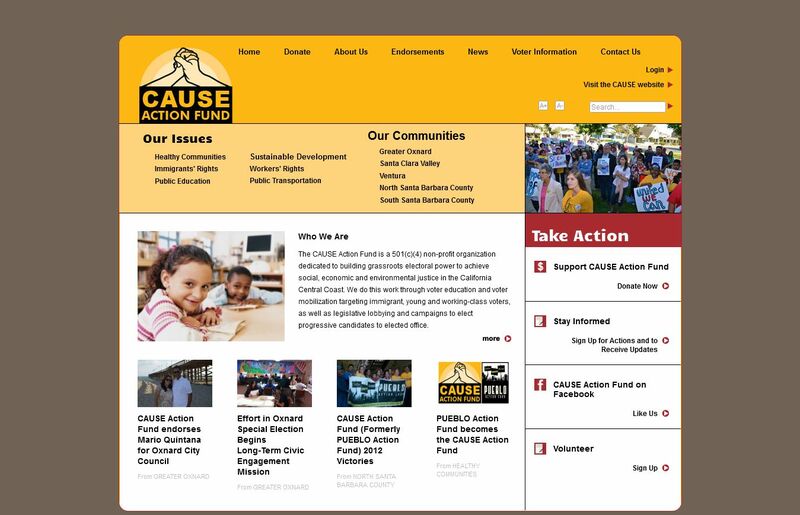 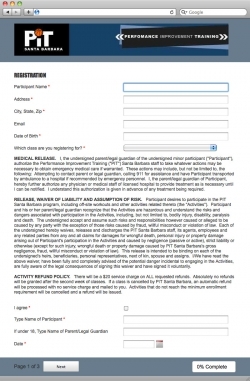 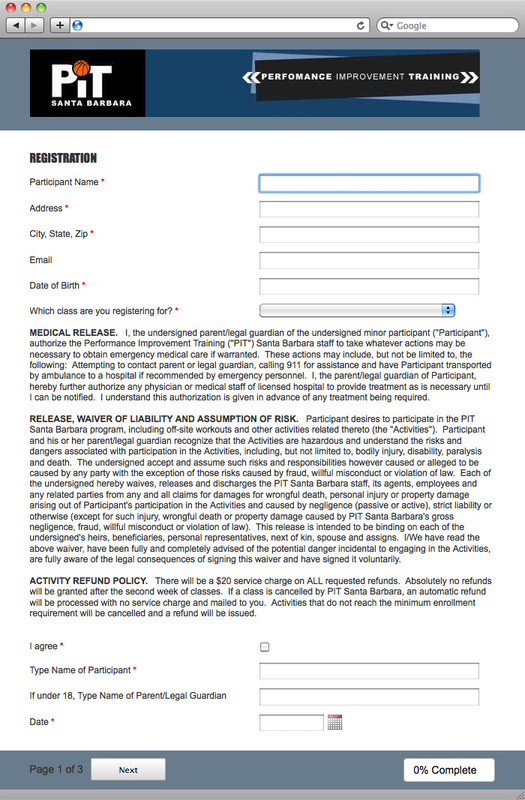 The online sign up form collects program registration data securely and efficiently, using a free web-based service to keep development cost low. 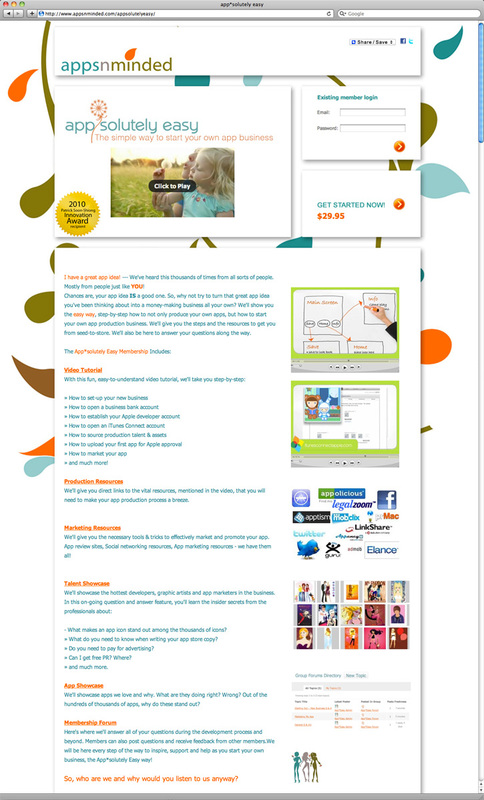 WackyPuppy is a huge fan of Ventura WILD, and has been involved from the very beginning, helping to identify a client base of adventure-hungry kids to picking a name, establishing a web presence and establishing a registration process. 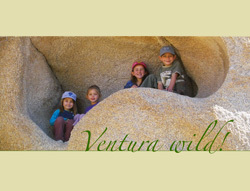 Getting kids out into nature is the goal, and we are so proud of what Ventura WILD is accomplishing in the community for our children! 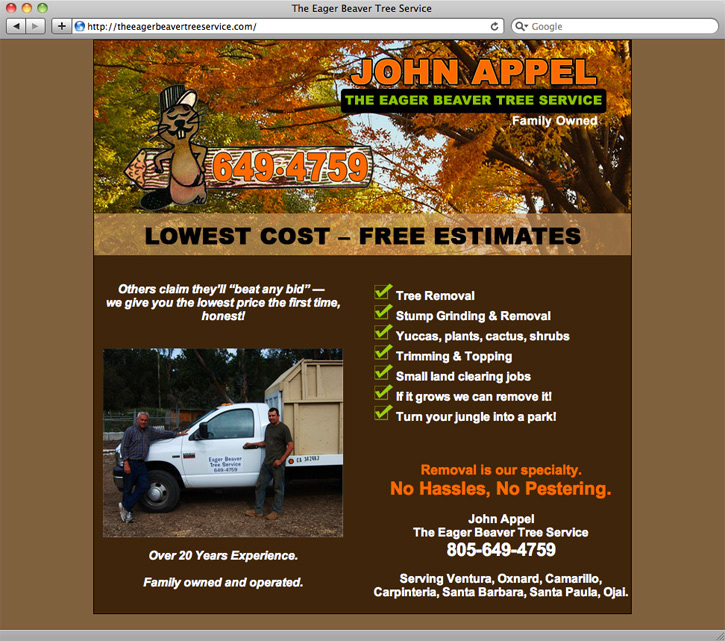 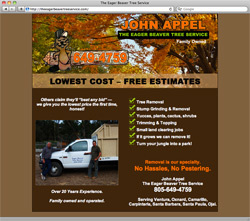 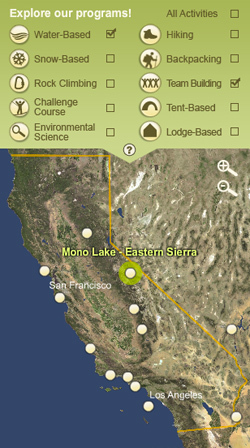 Designed and developed this informational website for The Eager Beaver Tree Service, based in Ventura, California. 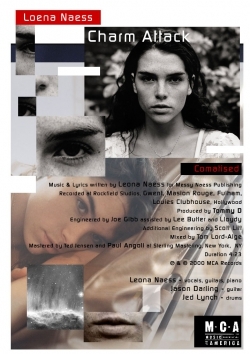 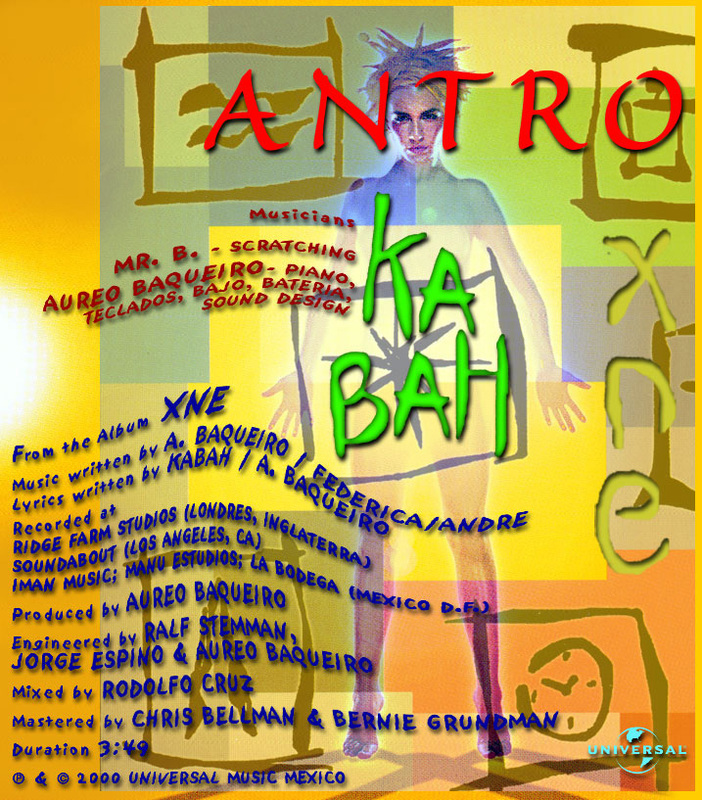 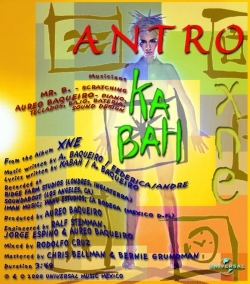 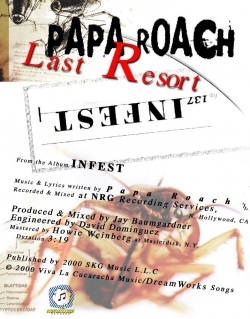 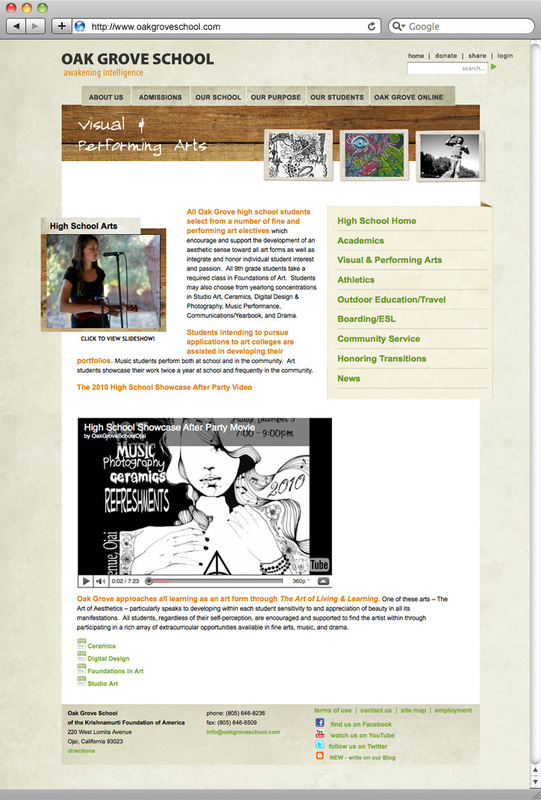 Designed over 2100 individual credits, lyrics and biography web pages as part of UMG’s U.S. digital music download project. 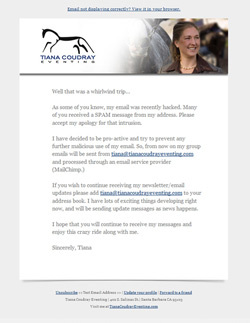 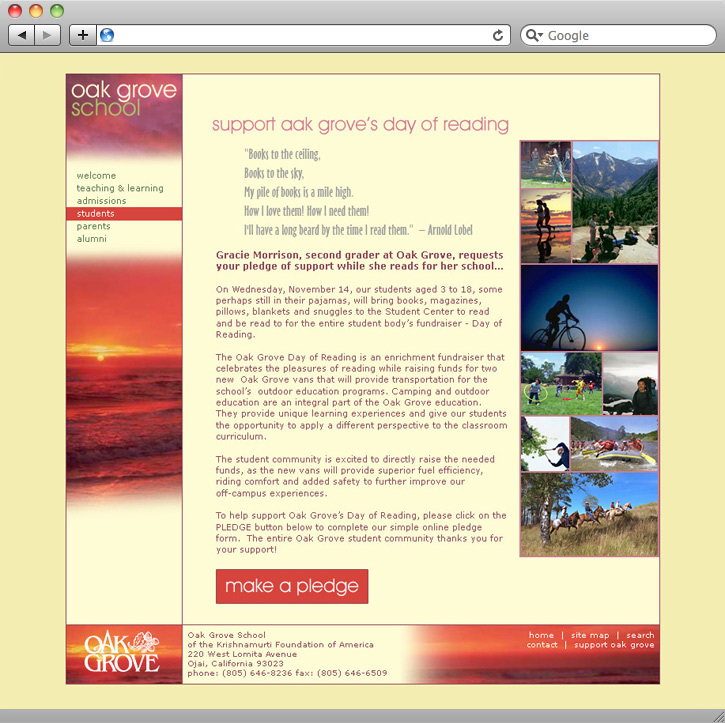 Designed e-newsletter template for Tiana Coudray Eventing. 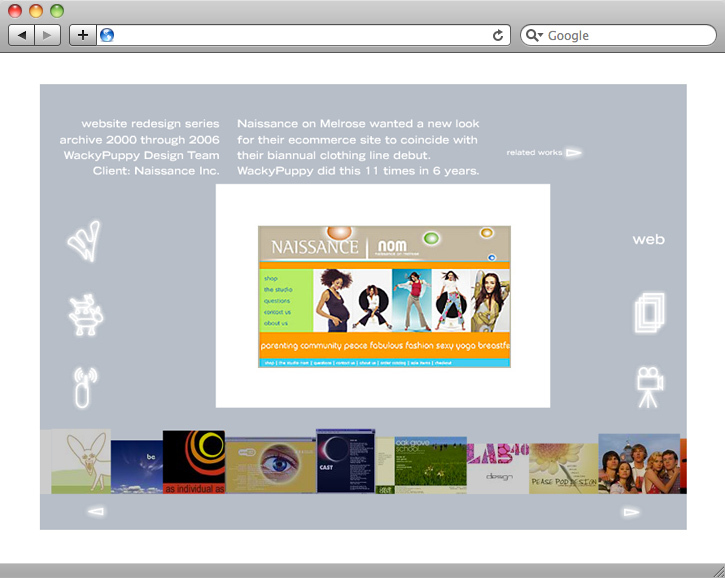 WackyPuppy also provides ongoing maintenance and support for Tiana’s website. 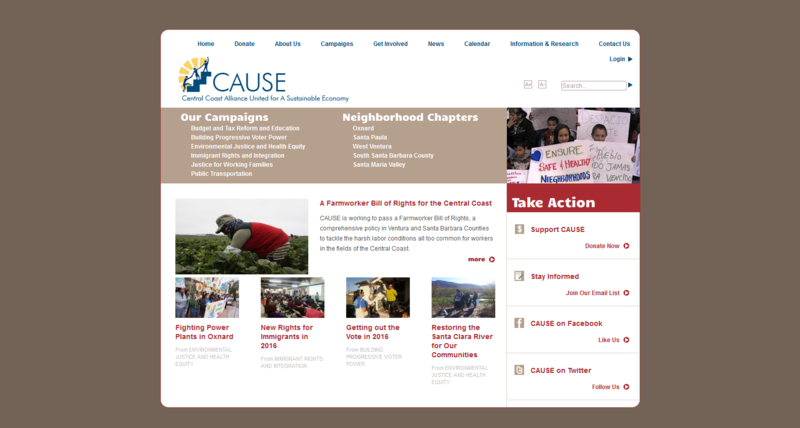 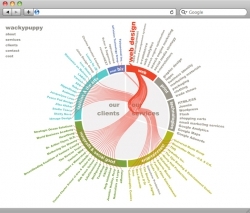 NetSquared is focused on the intersection of technology and social impact. 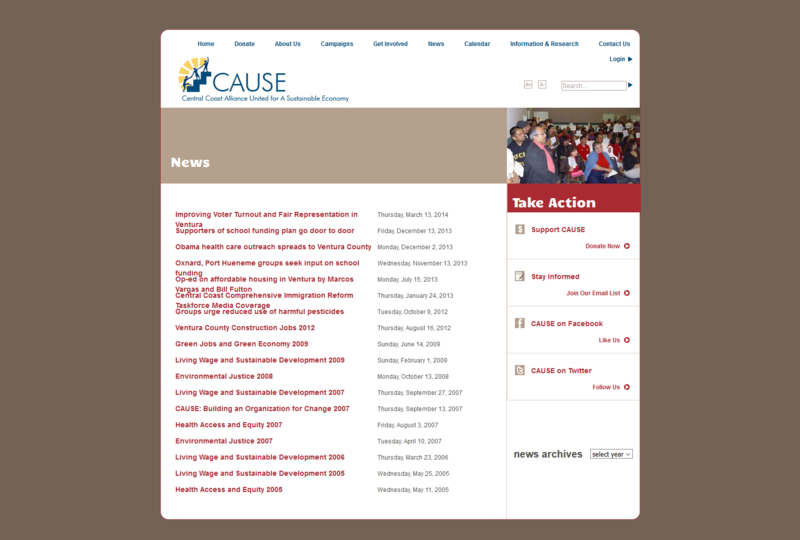 They are an incubator of innovative ideas, creating opportunities for nonprofits, foundations, designers and developers, changemakers and entrepreneurs to connect. 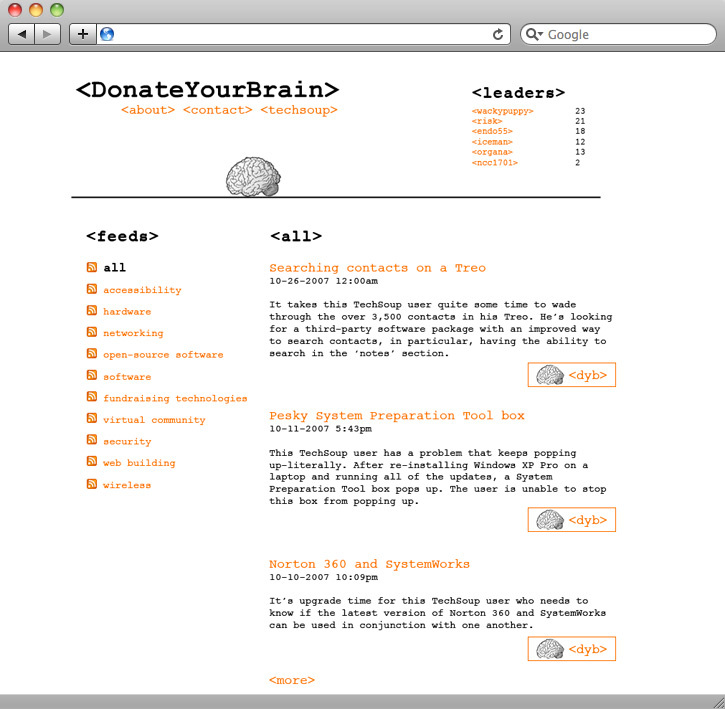 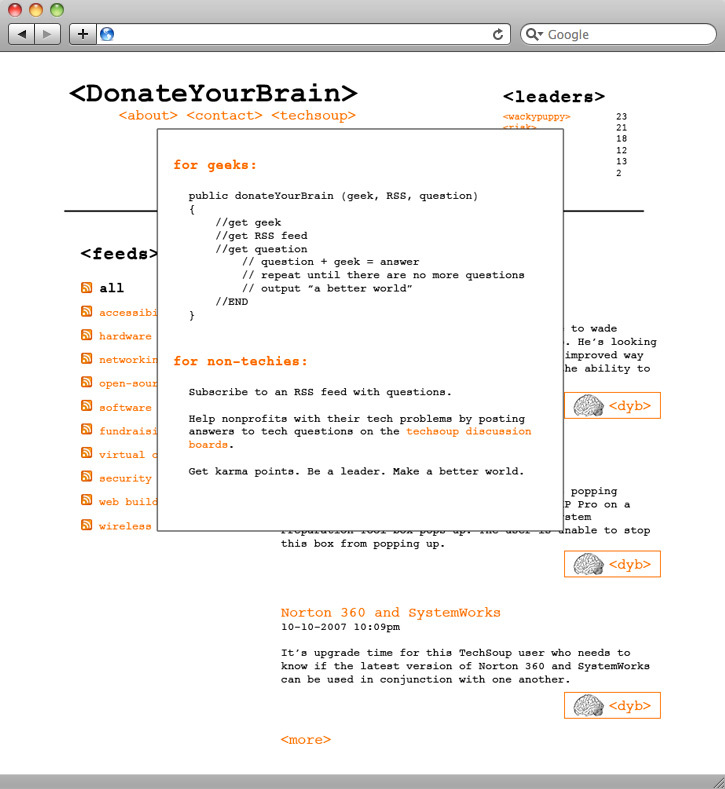 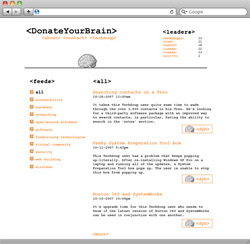 DYB (Donate Your Brain) was an experiment to encourage techies to donate small bits of their time to nonprofits via the web, by presenting a simple web feed of technical questions and requests posted by nonprofits, and an easy way to indicate when the need had been answered by a user, including a karma board. 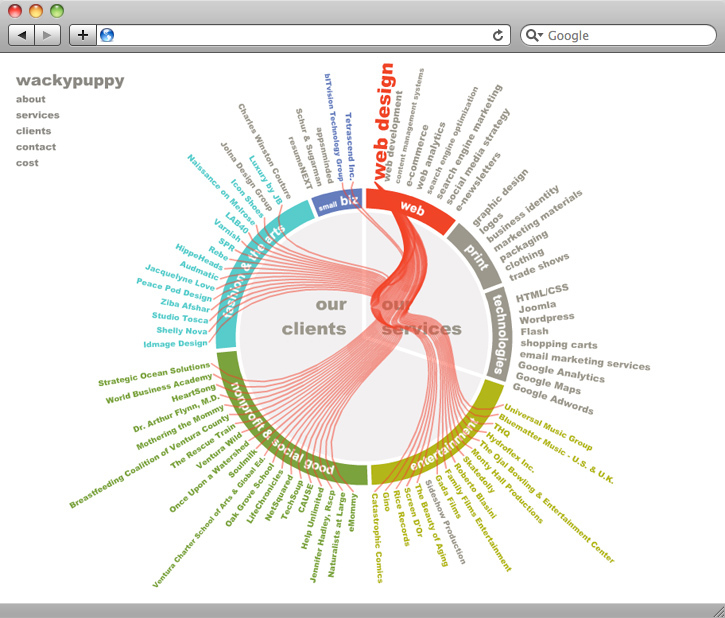 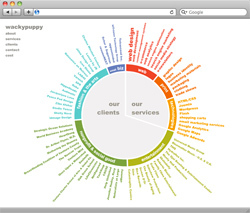 WackyPuppy designed a proposal for a visual design interface and suggested additional functional details. 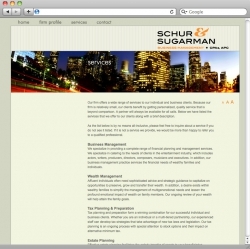 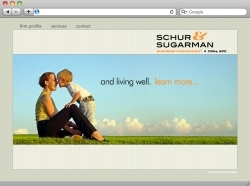 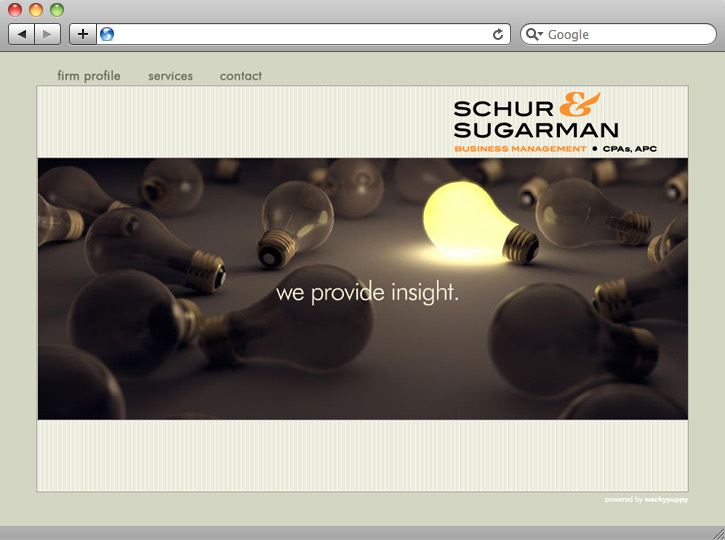 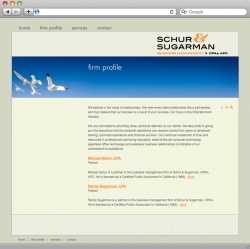 Schur & Sugarman is a business management firm based in Los Angeles that serves clients in the entertainment industry. 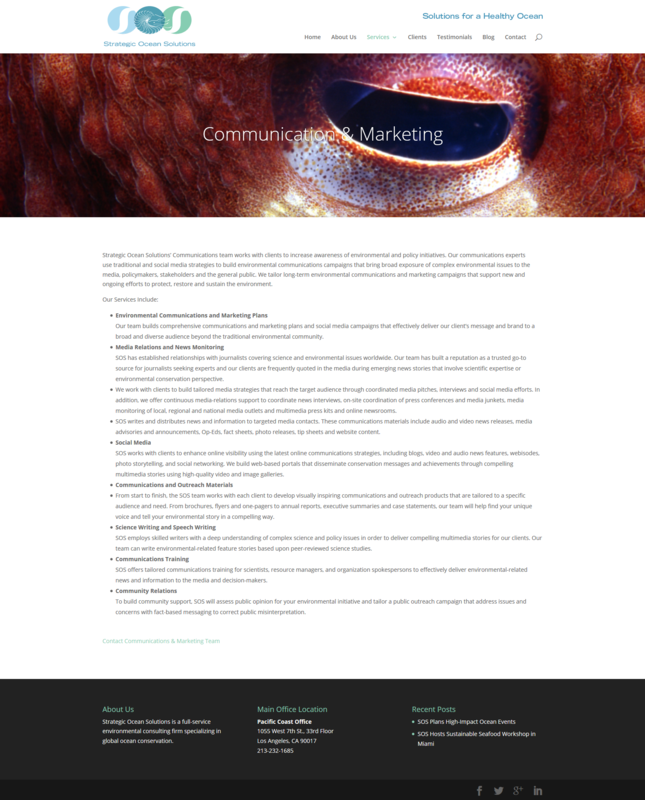 They wanted a website that would appeal to their creative clients, communicate the high level of professionalism and quality of services that they provide, while not falling into the cookie-cutter boring website common to most sites in their field. 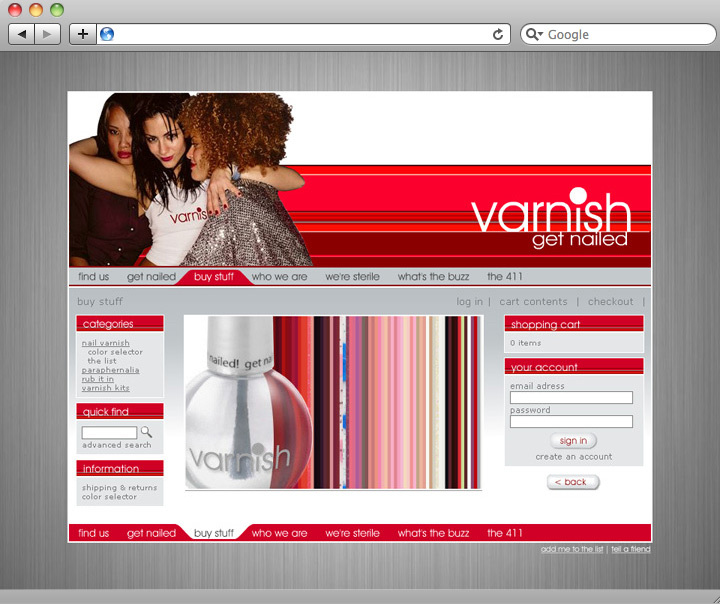 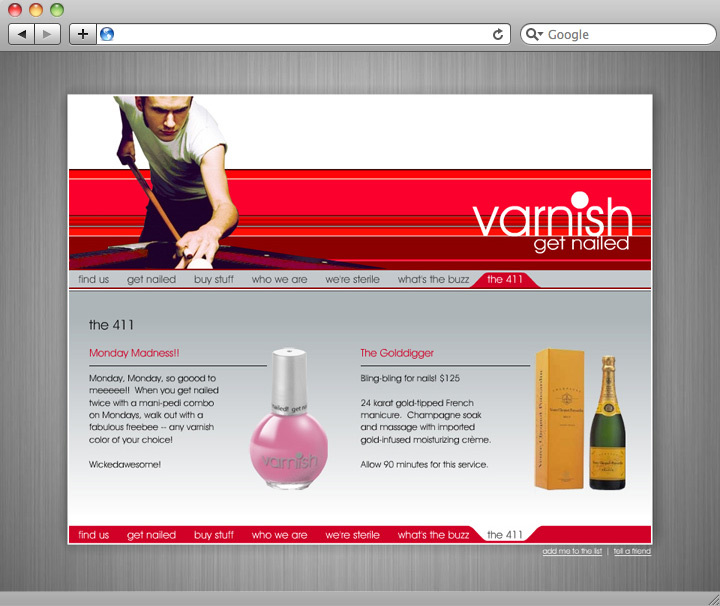 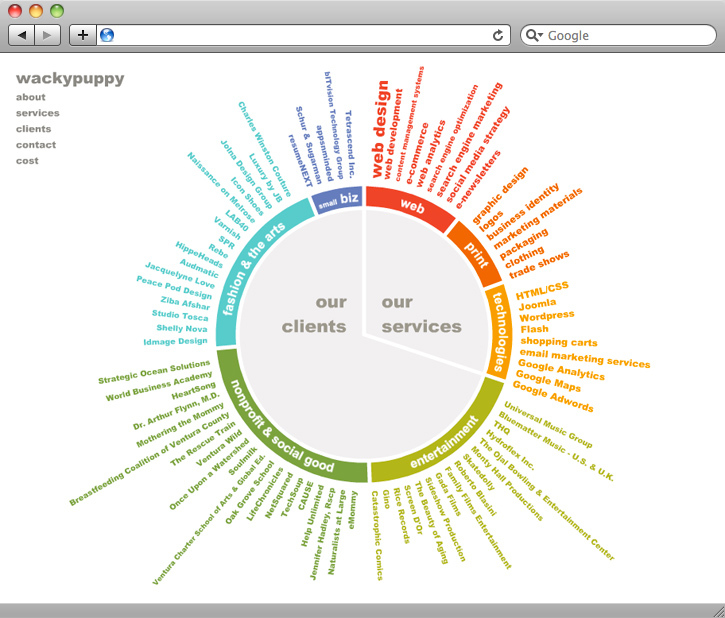 WackyPuppy designed and developed an attractive, classy, simple to navigate website for them using HTML and CSS. 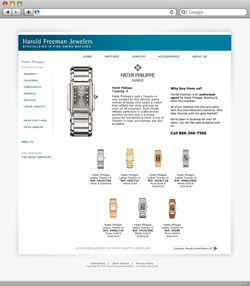 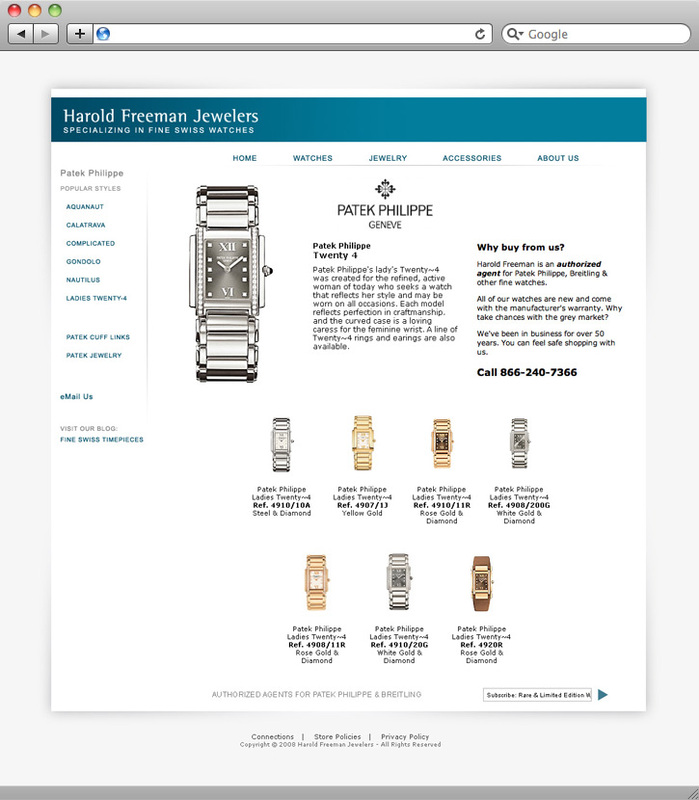 Harold Freeman Jewelers, based in Tampa Bay, Florida, specializes in buying and selling Patek Philippe timepieces as well as other fine Swiss brands. 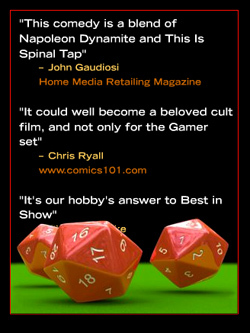 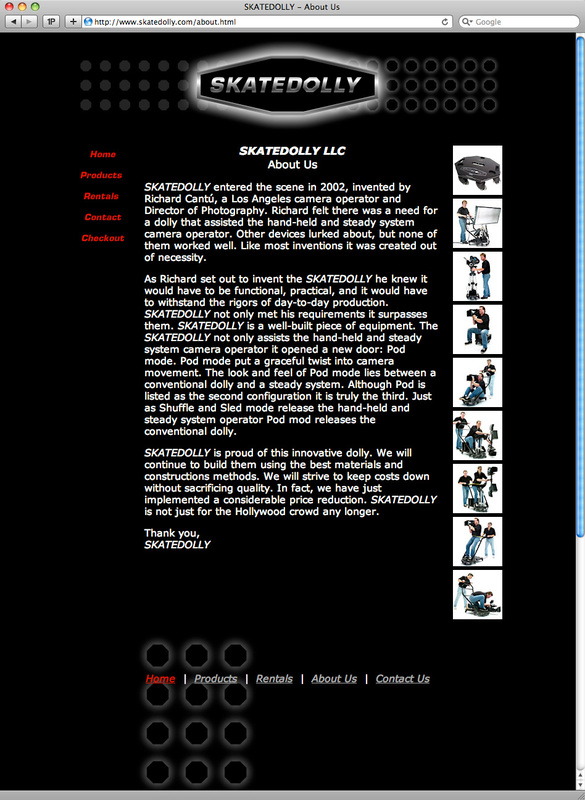 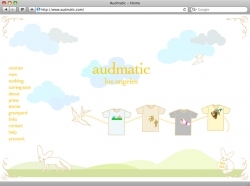 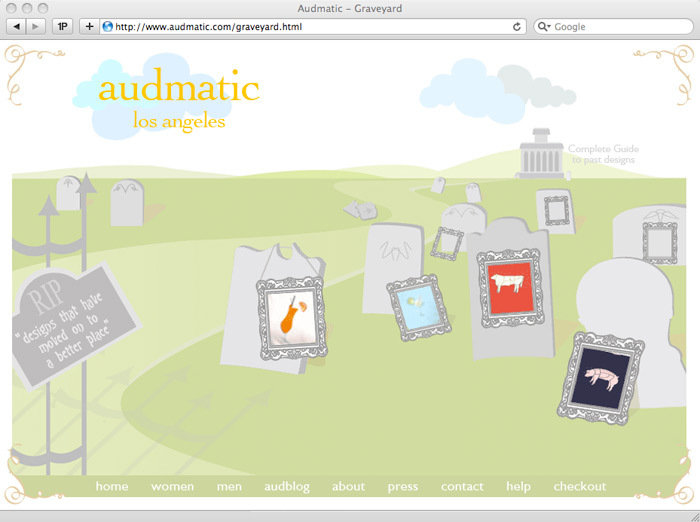 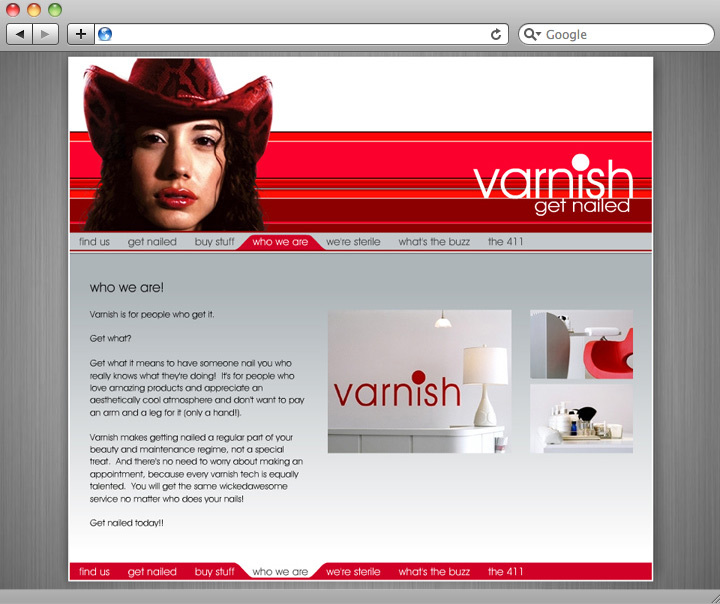 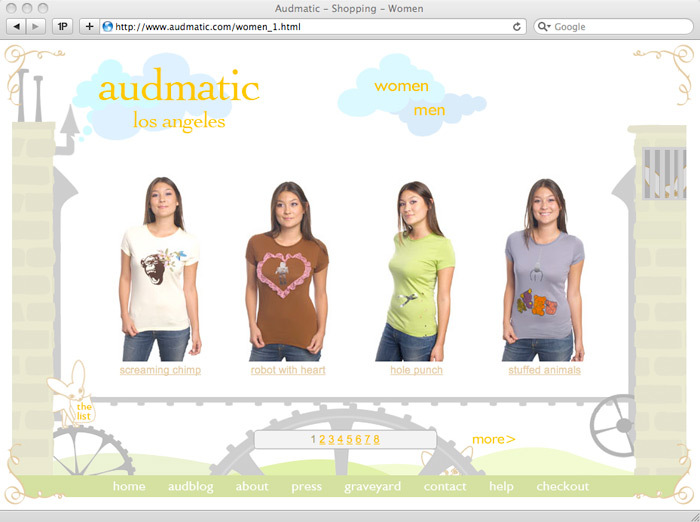 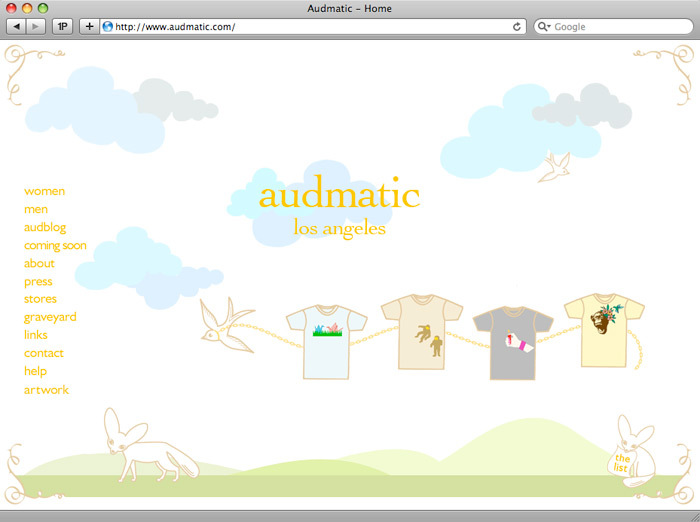 They asked WackyPuppy to design a new look and feel for the website, which they then applied to the site. 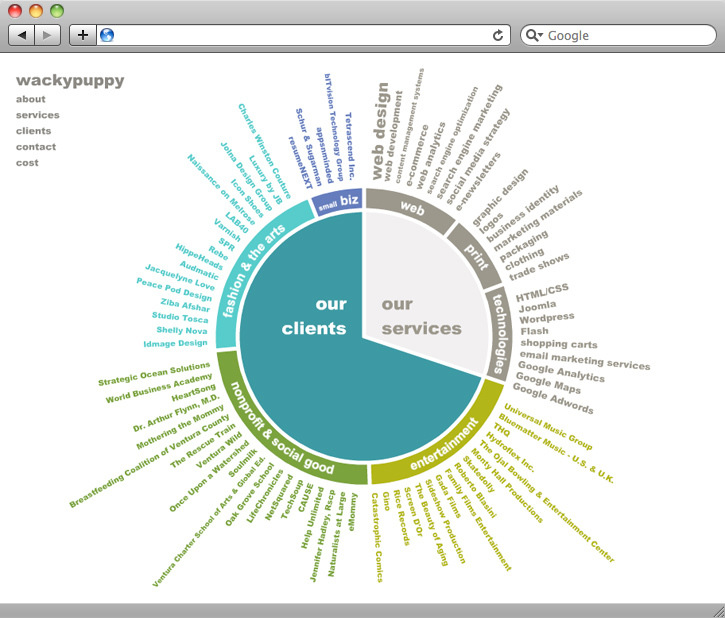 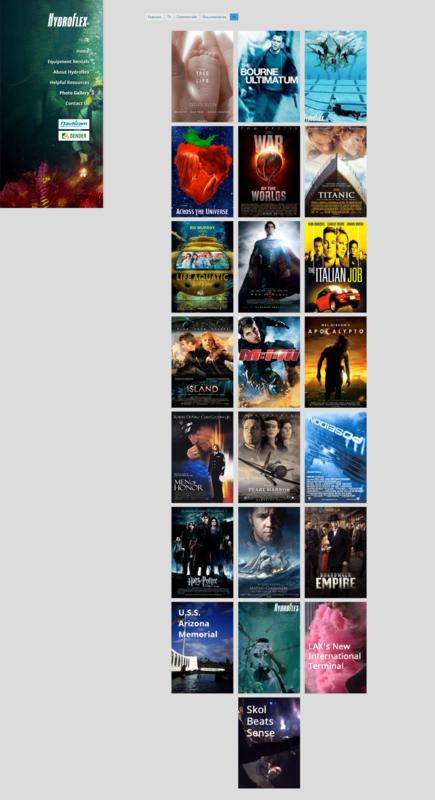 WackyPuppy has also implemented a web form and some interactive features in their site. 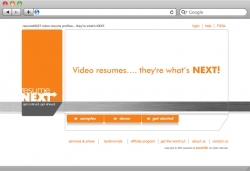 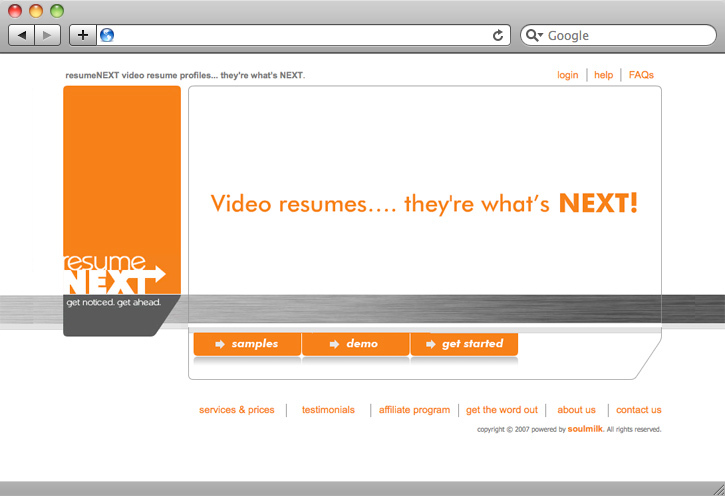 ResumeNEXT is a web-based service providing rich media resume profiles for jobseekers, featuring traditional downloadable text and pdf-based resumes, as well as video, audio, links to employers and work samples. 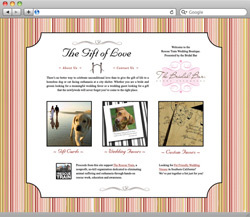 The site features, functionality and visual design was created by WackyPuppy from start to finish, and built within a custom database-driven website using PHP. 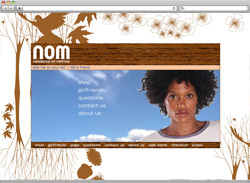 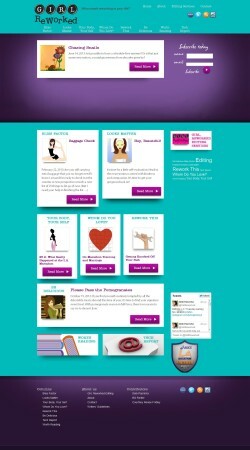 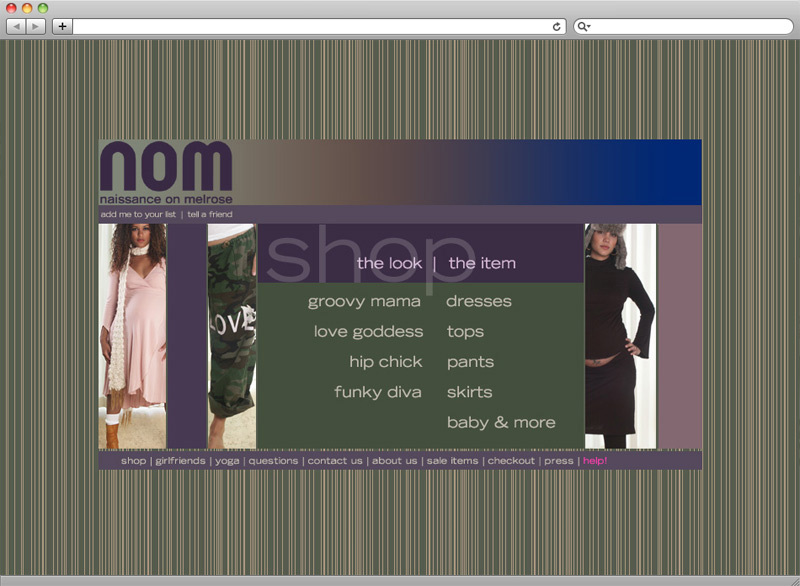 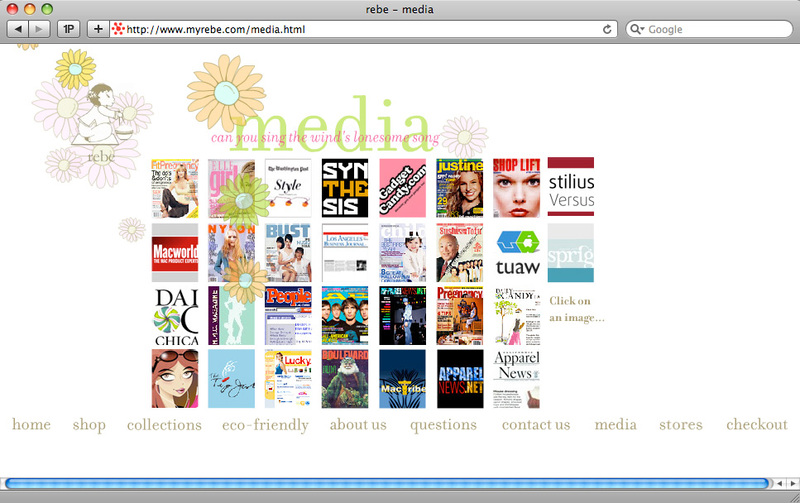 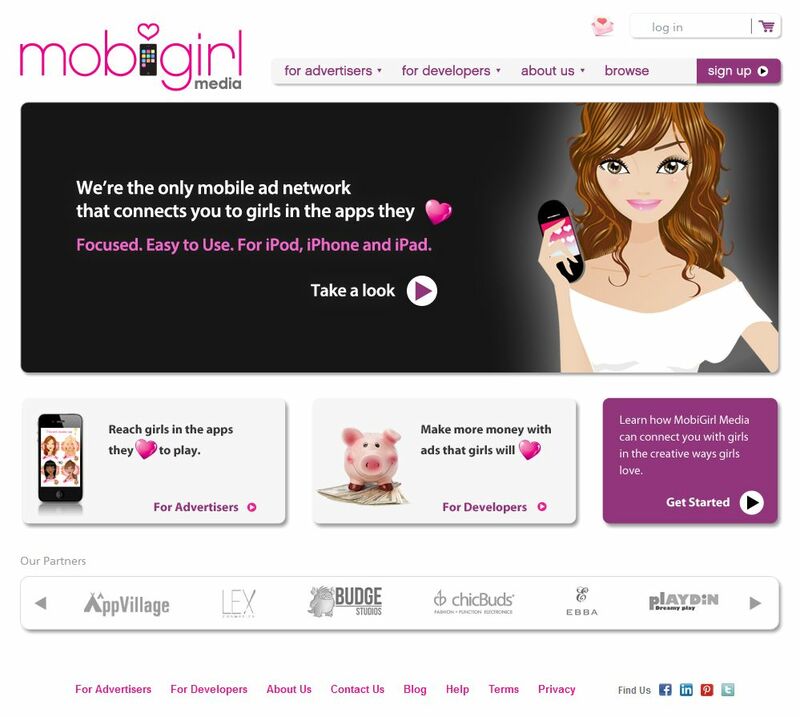 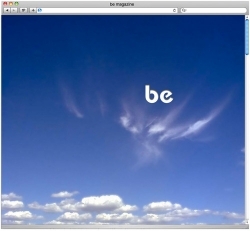 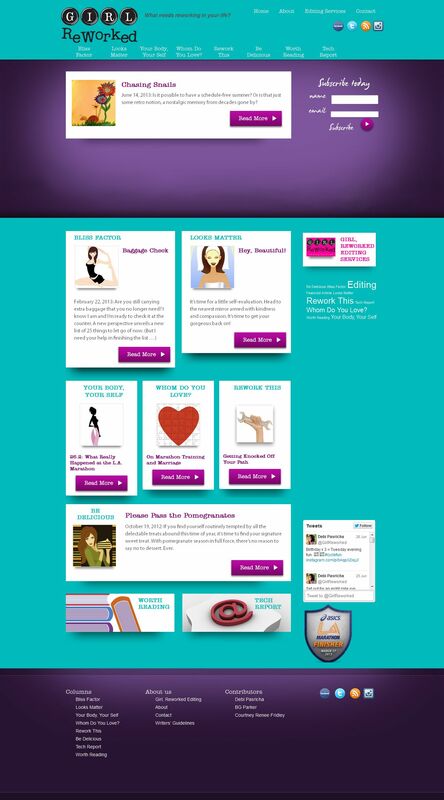 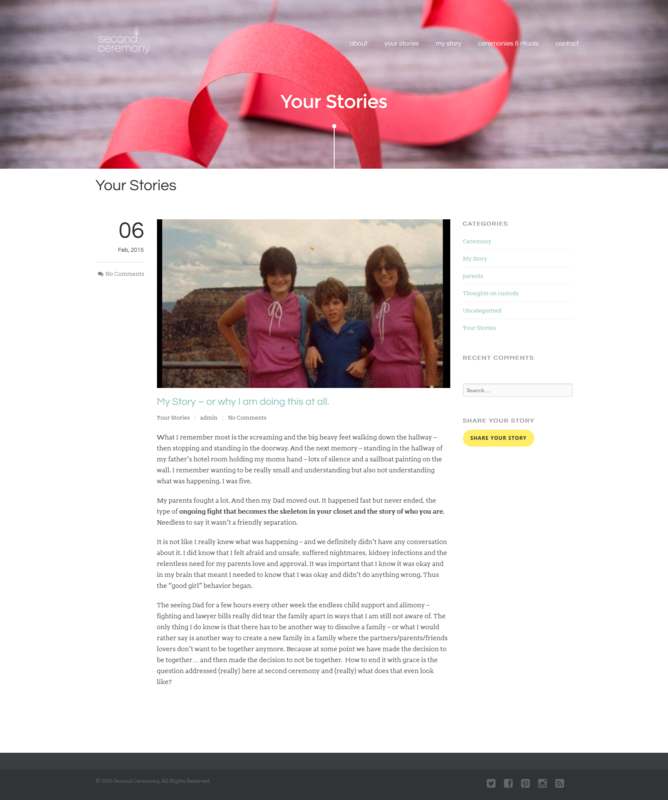 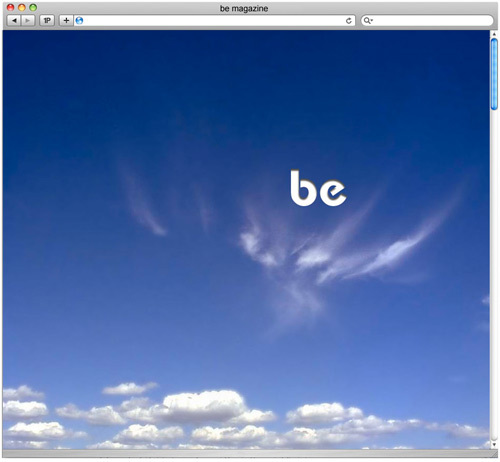 Proposed the visual design for this online magazine for teenaged women.